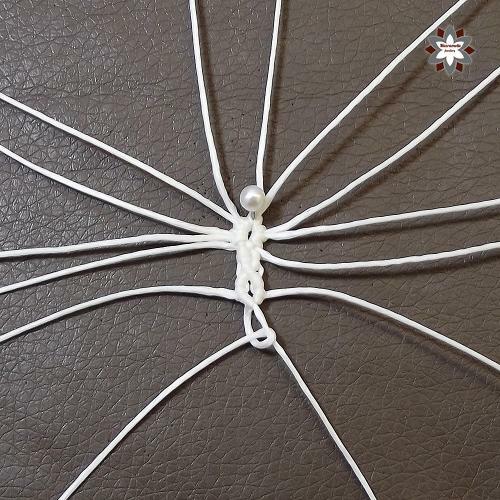 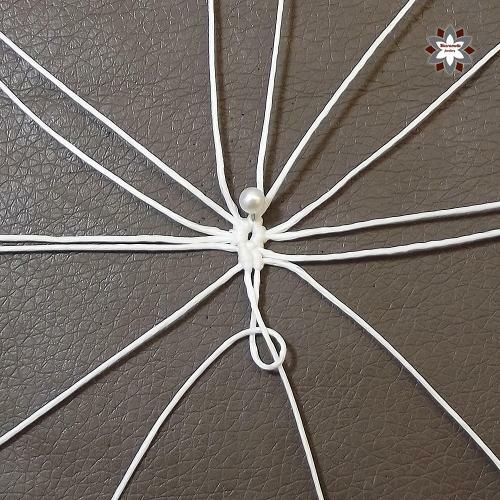 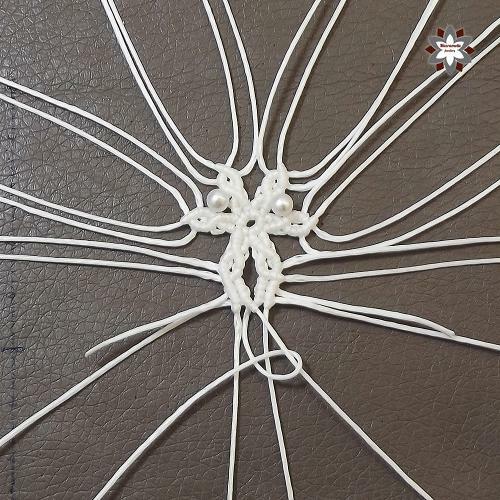 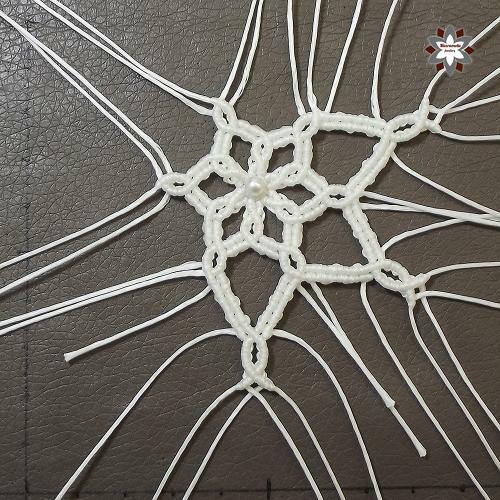 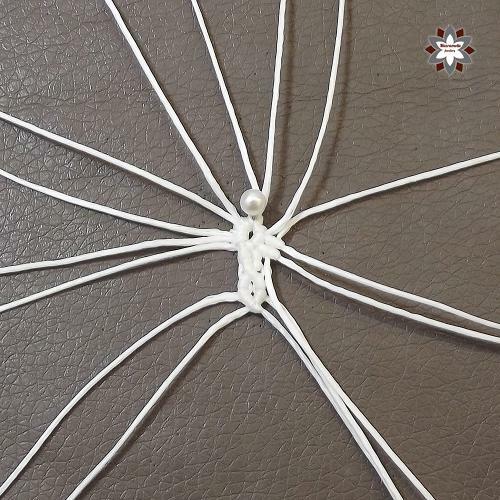 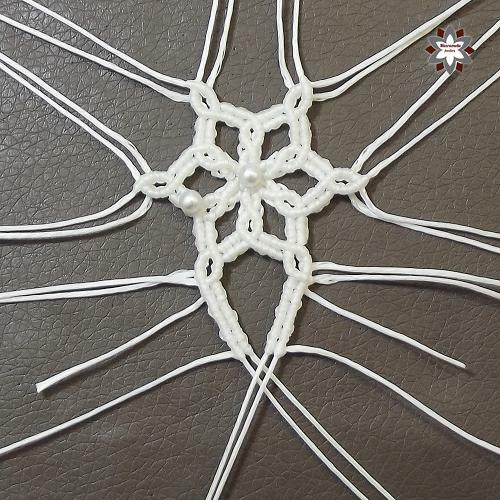 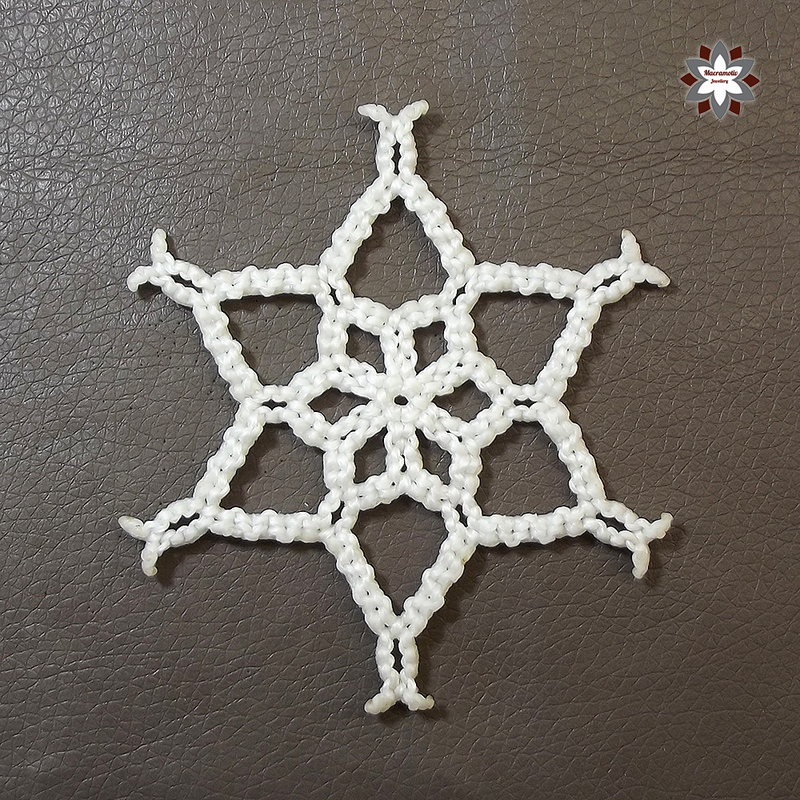 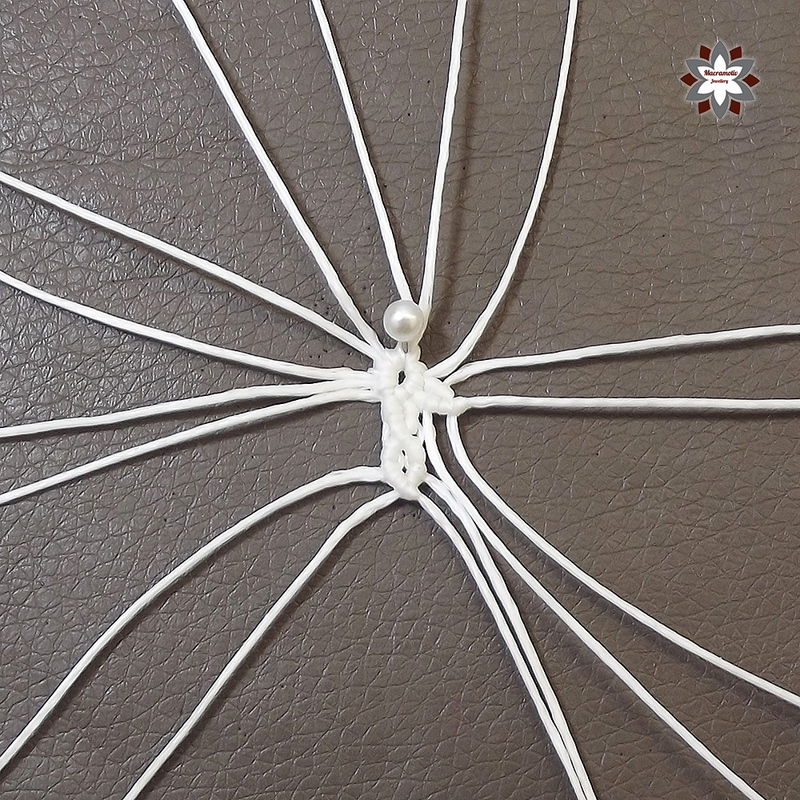 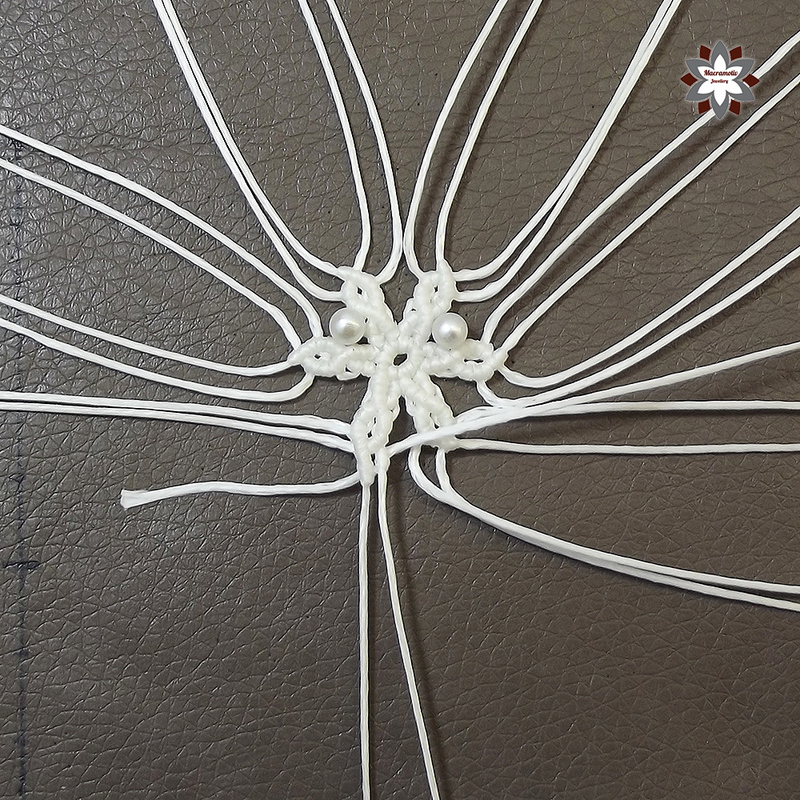 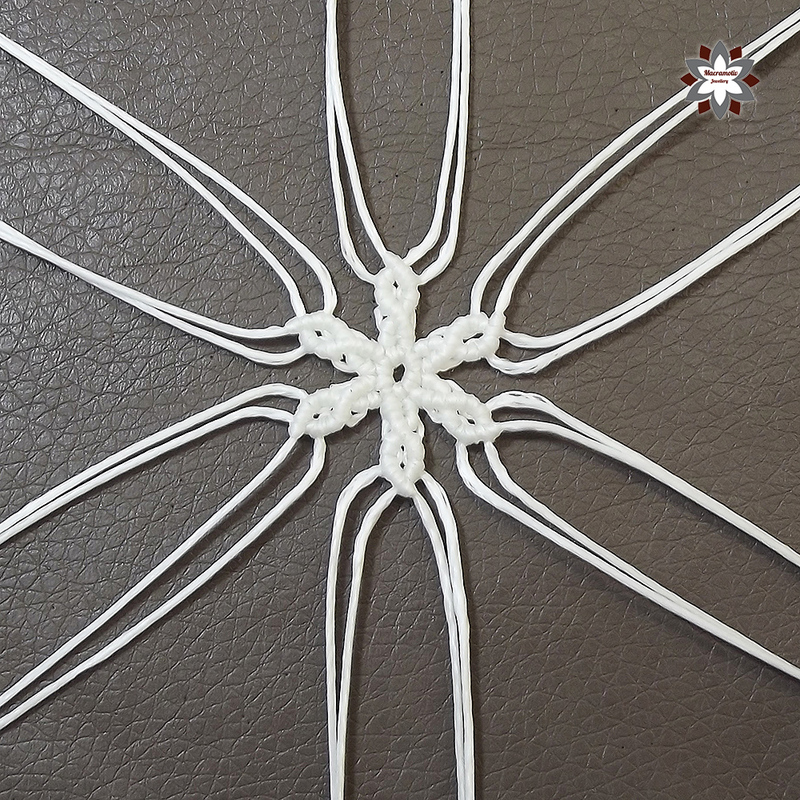 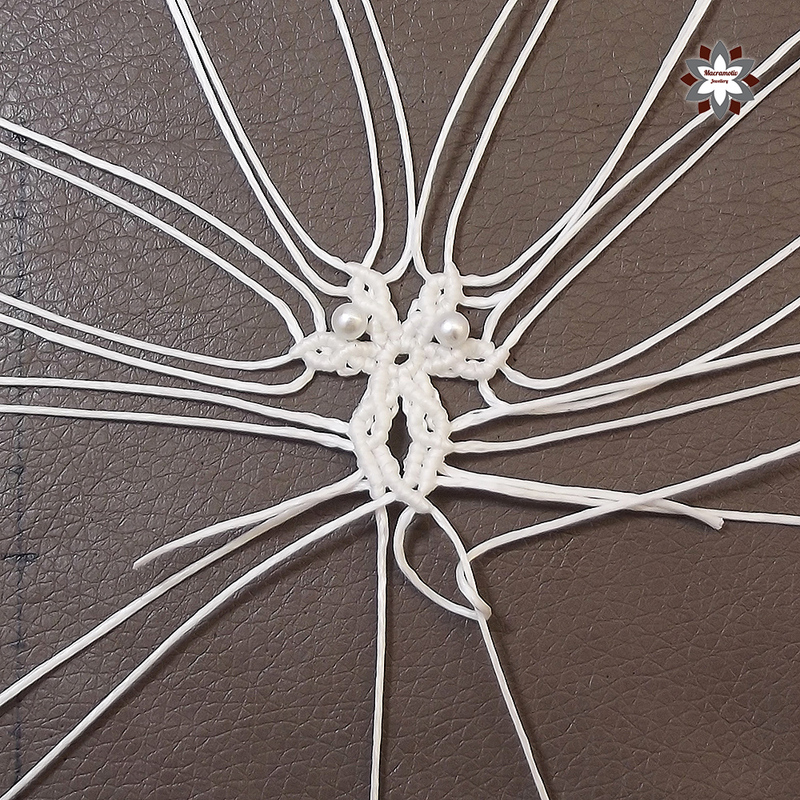 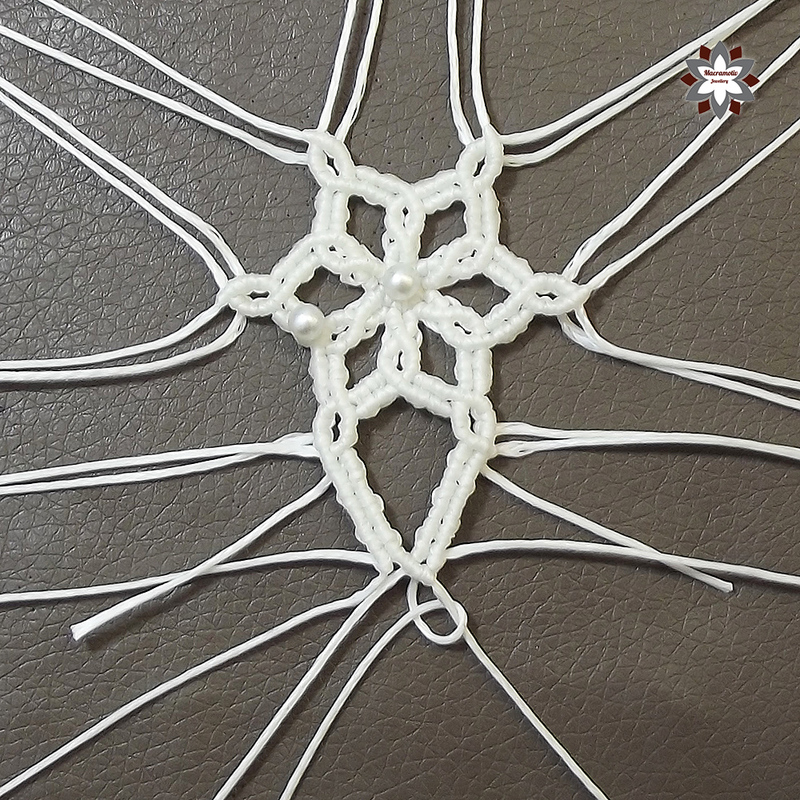 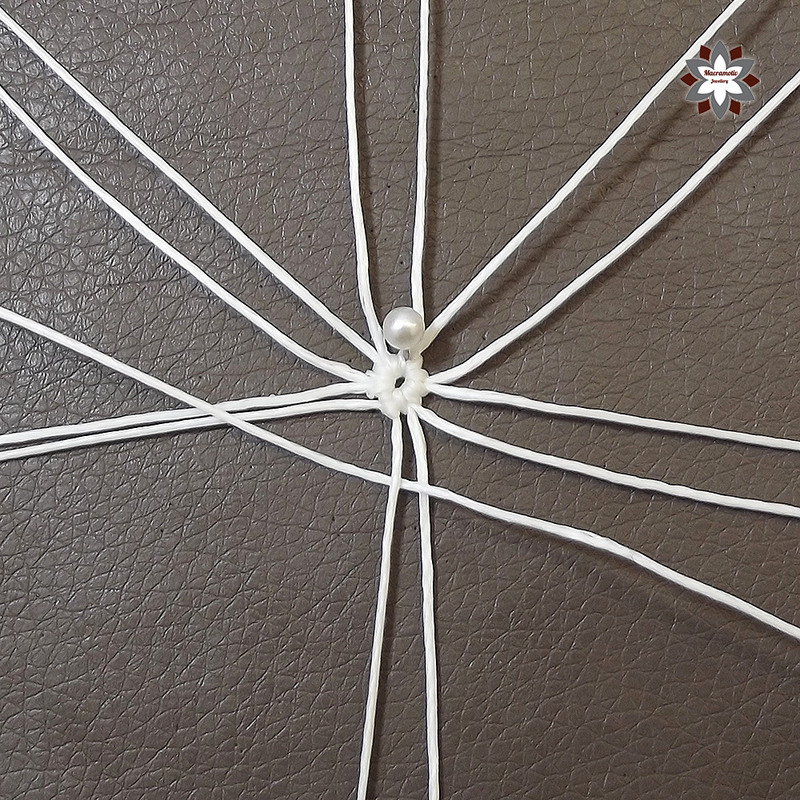 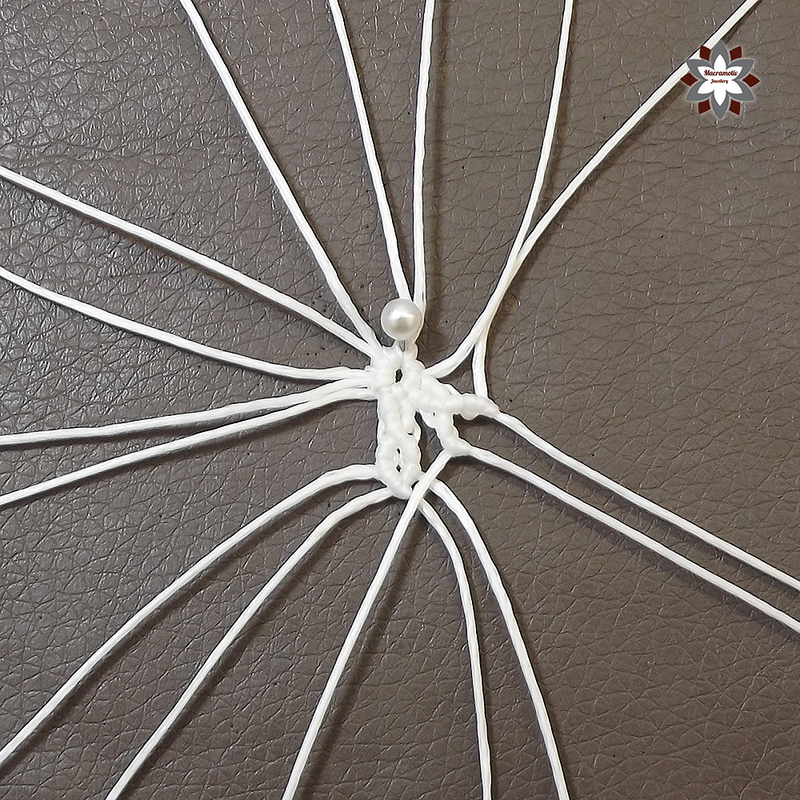 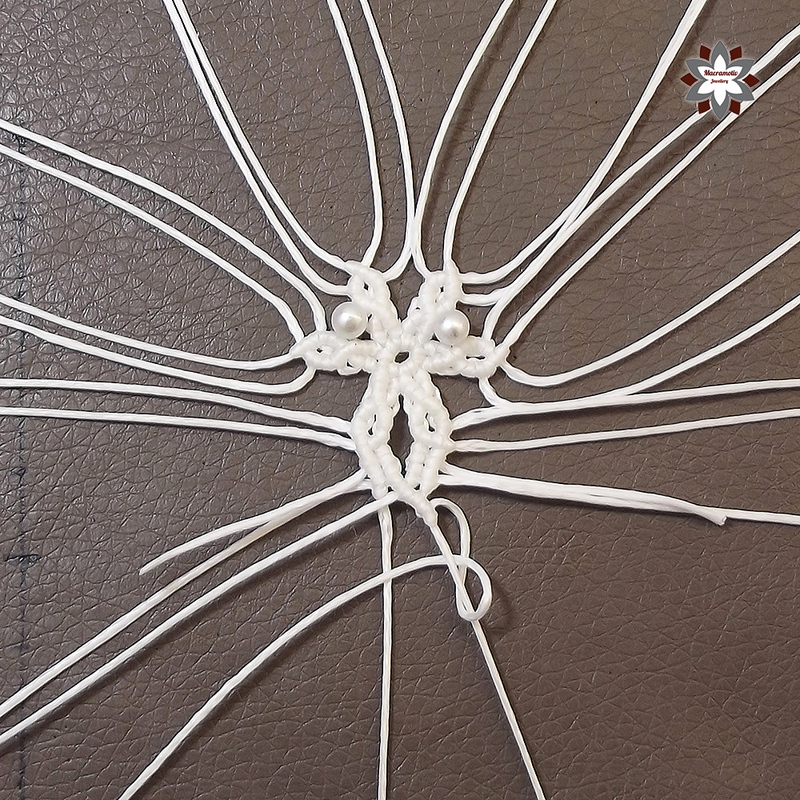 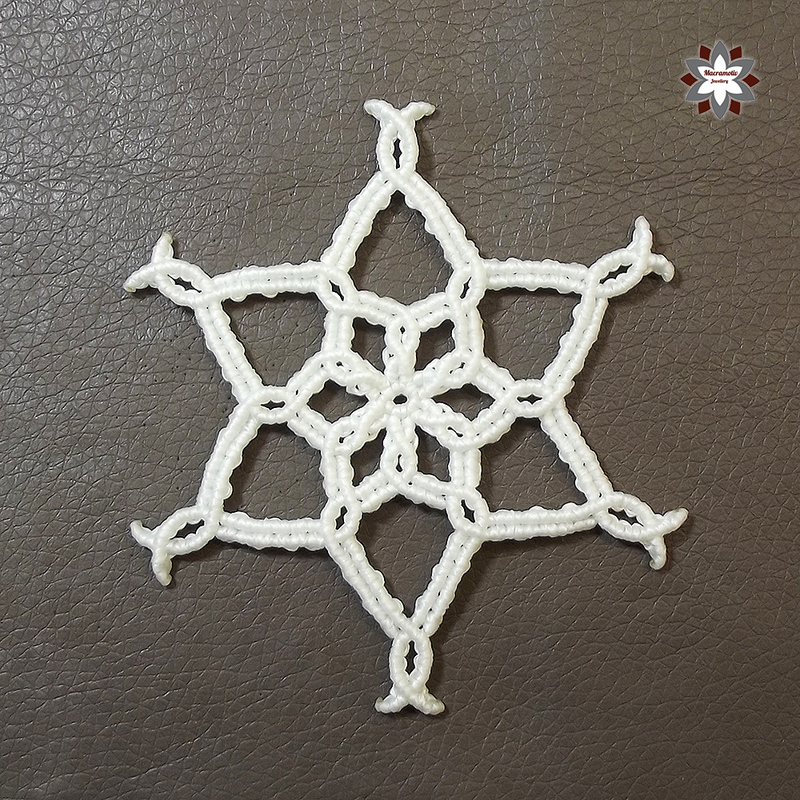 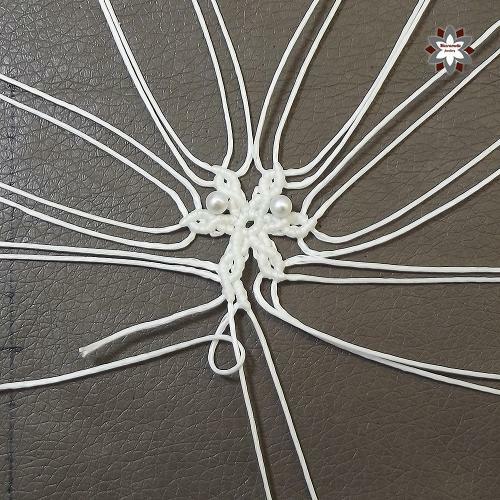 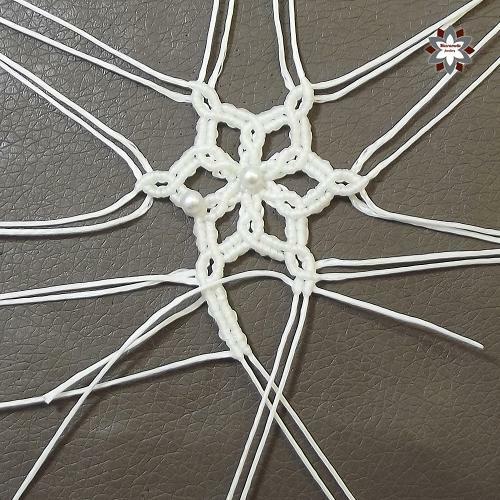 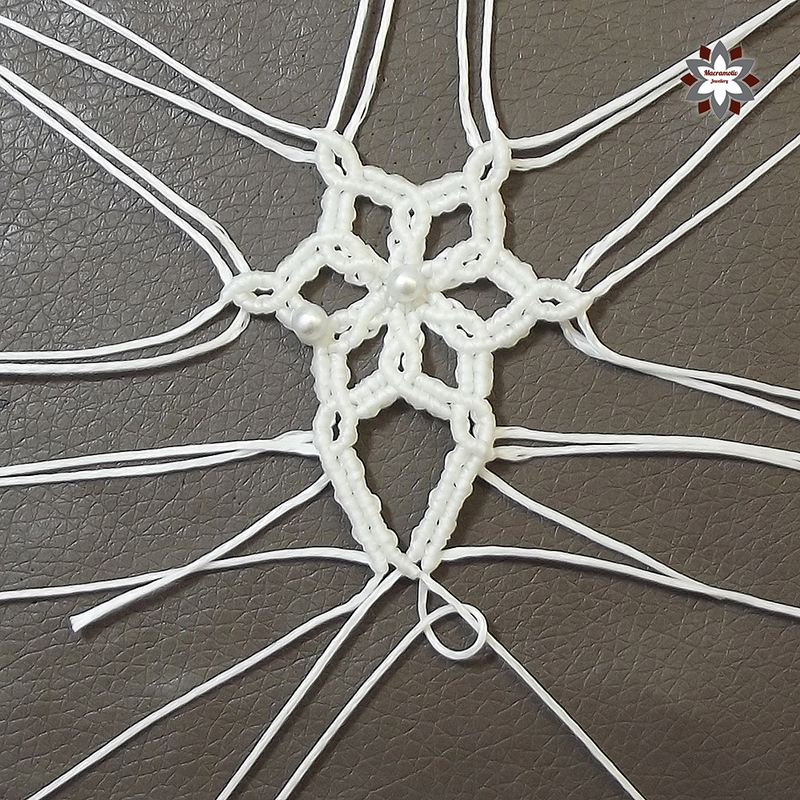 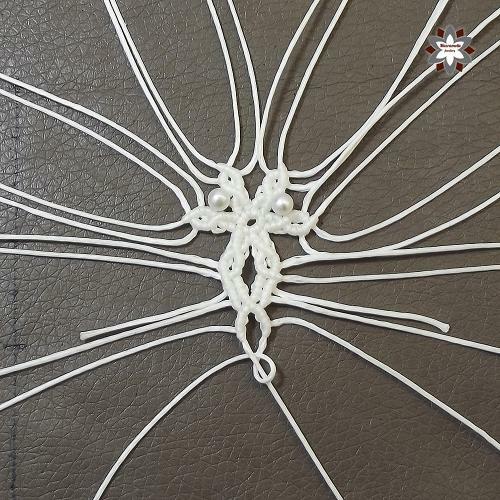 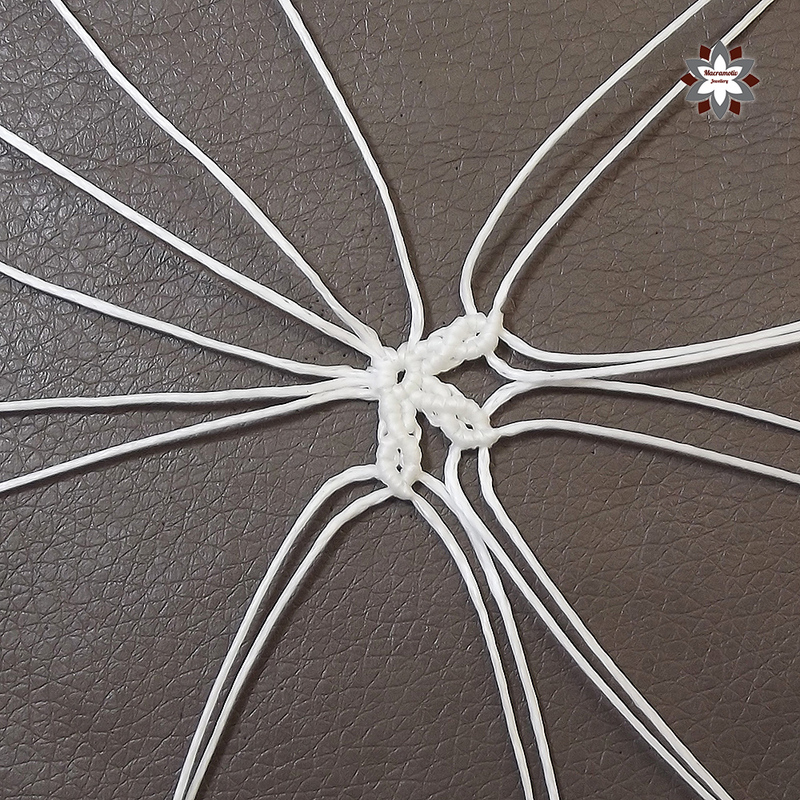 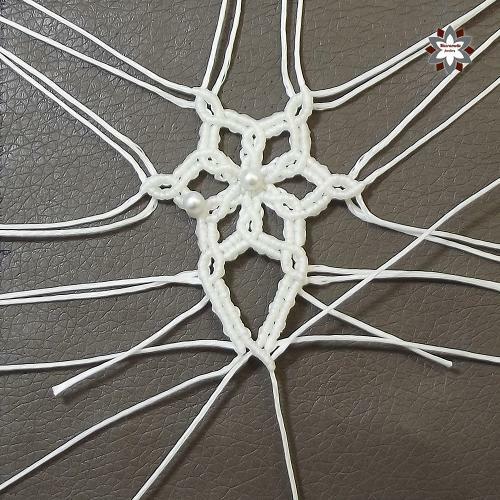 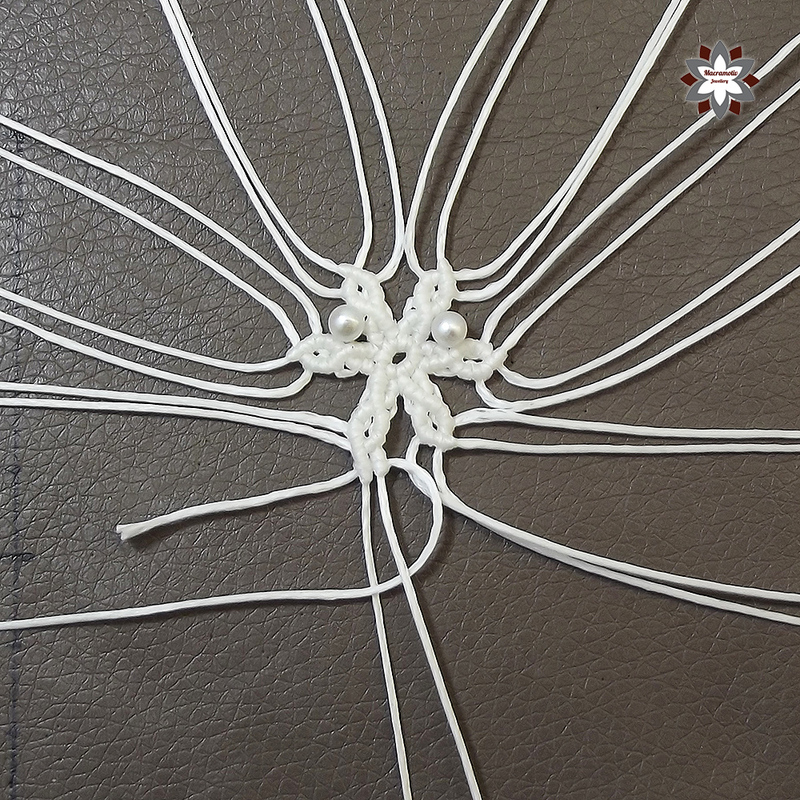 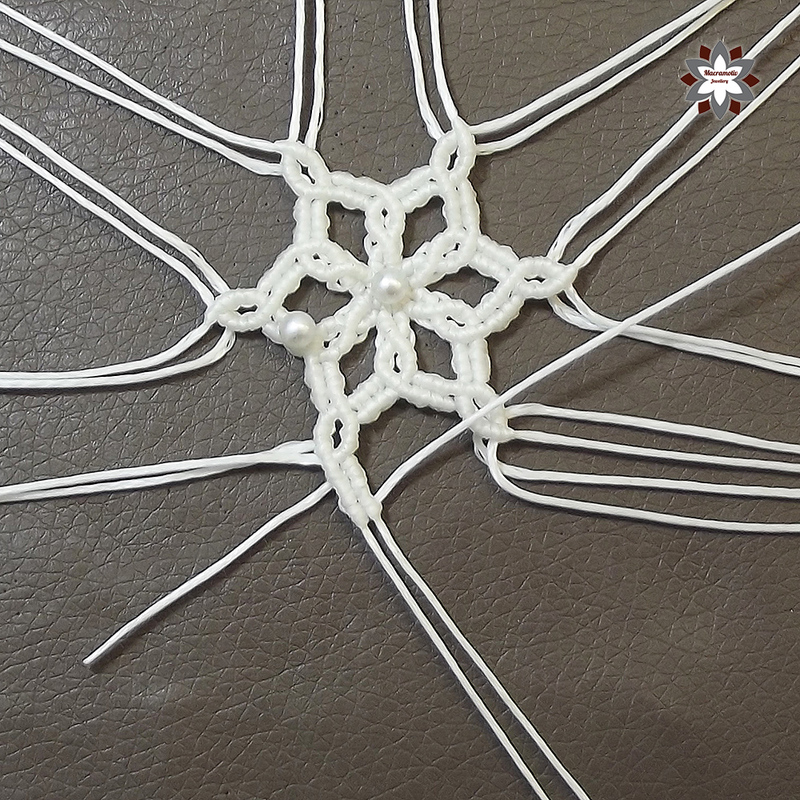 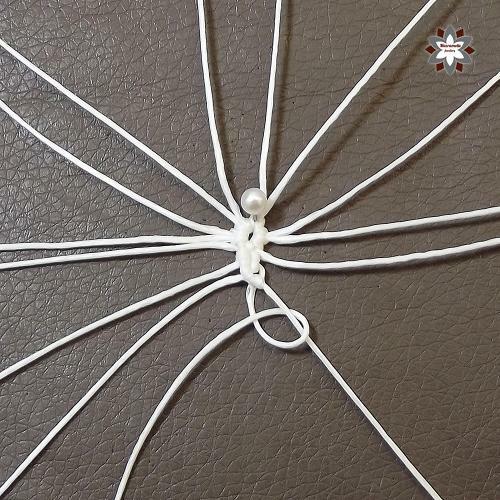 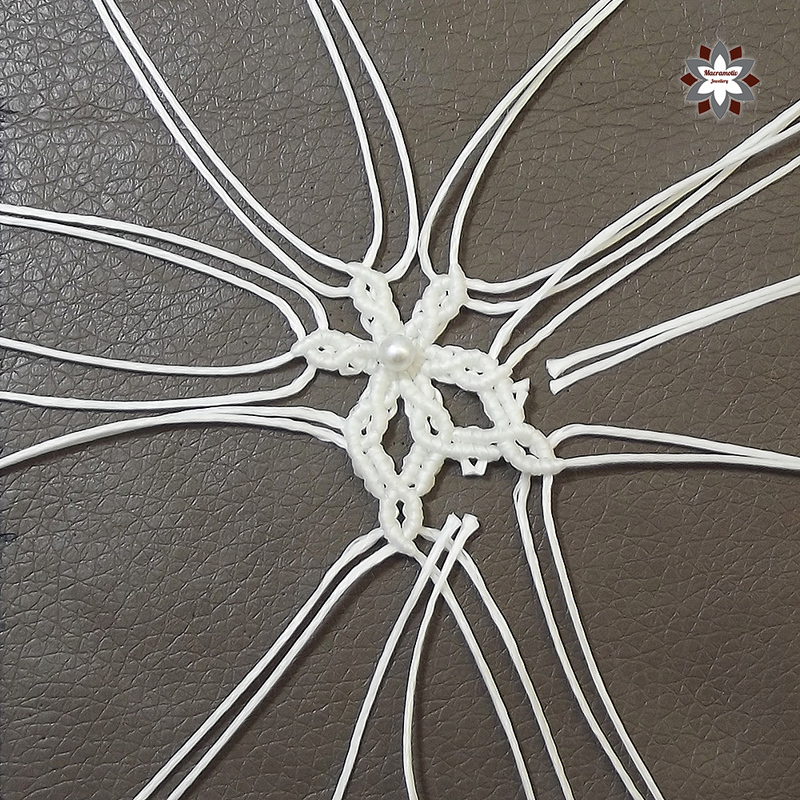 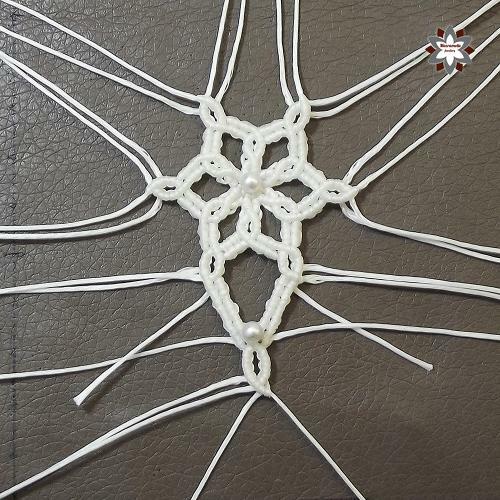 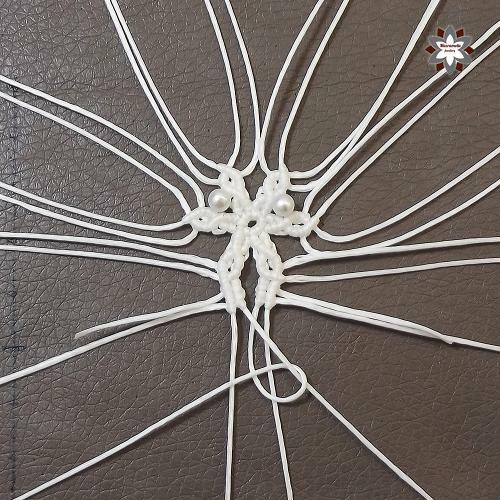 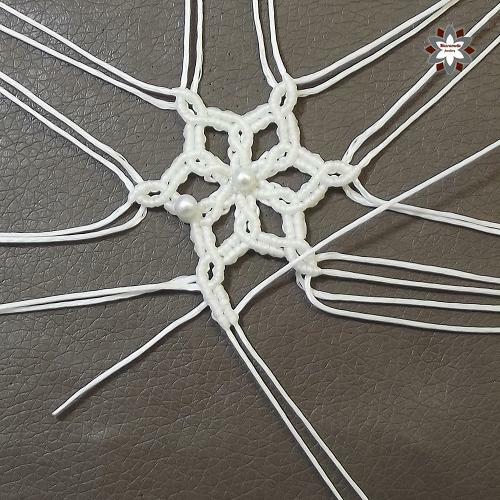 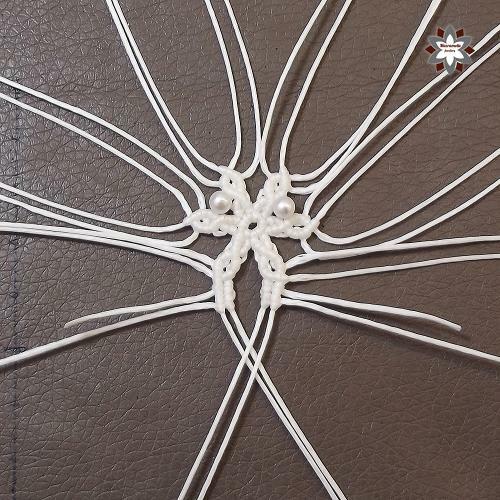 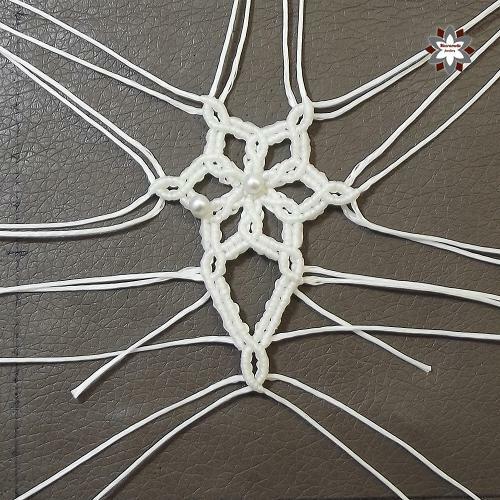 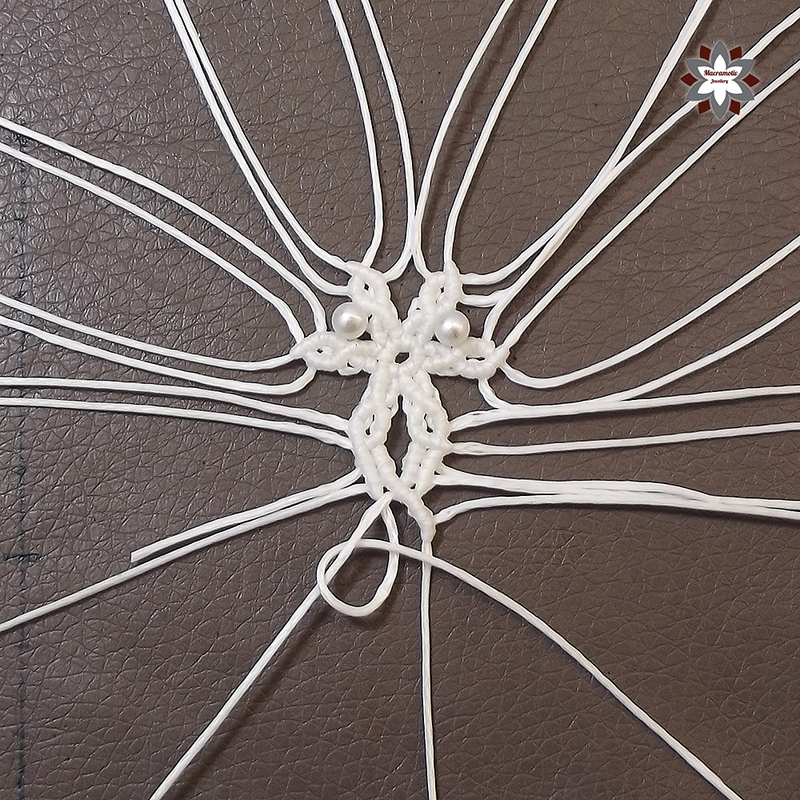 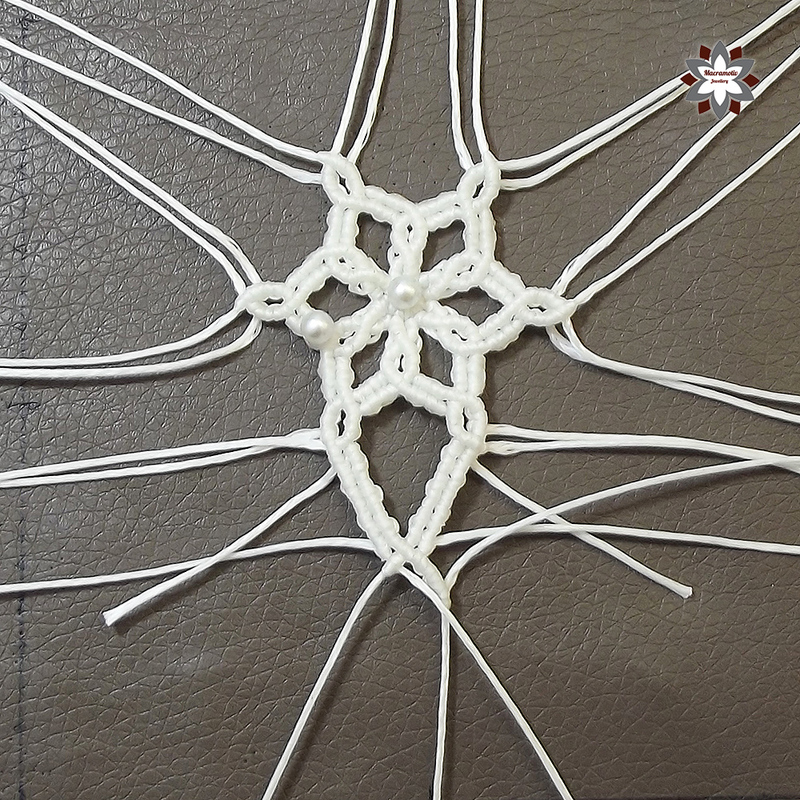 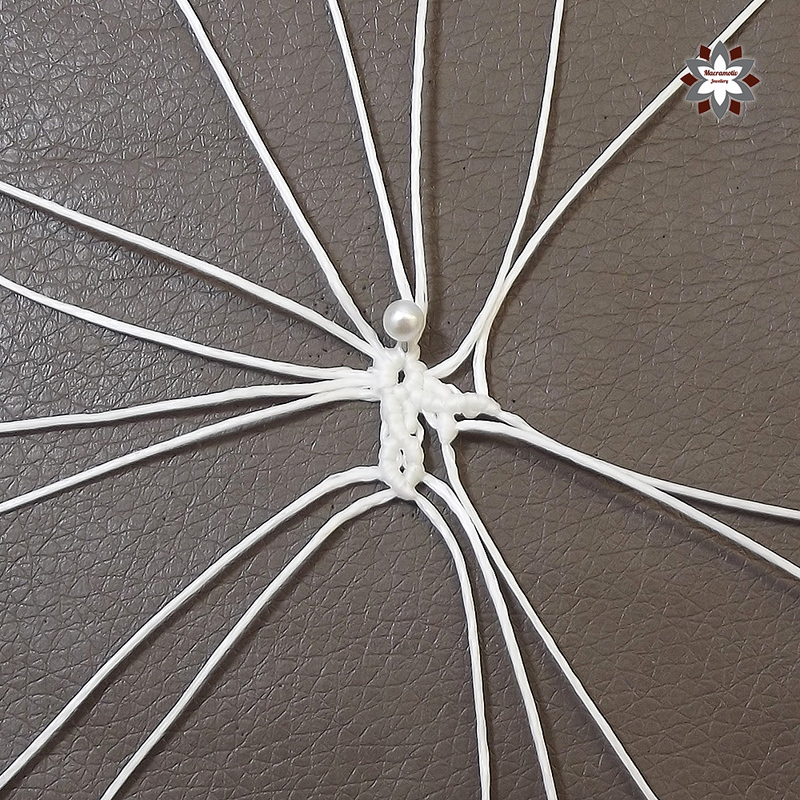 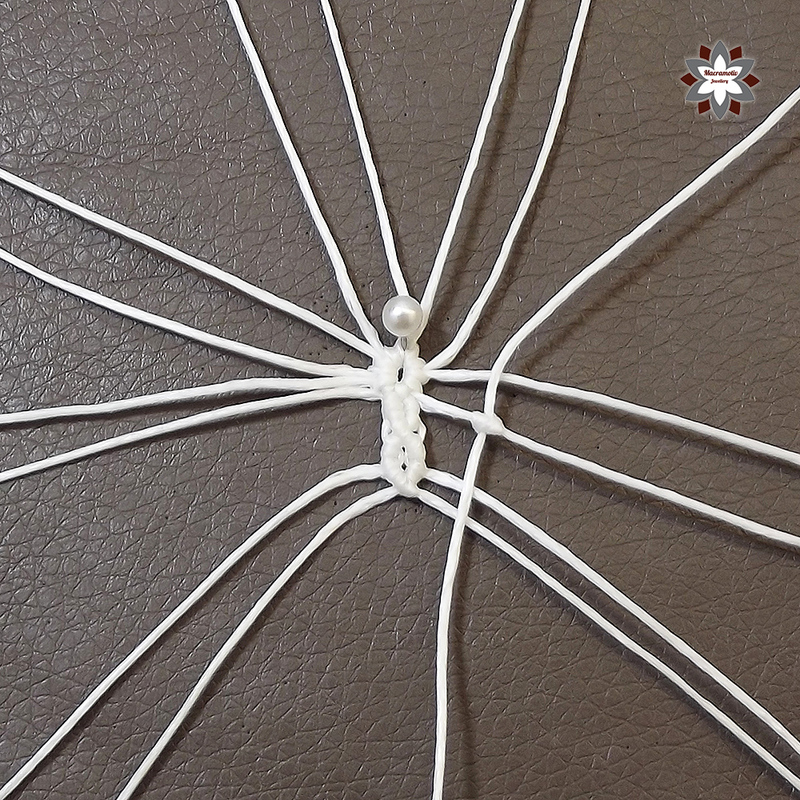 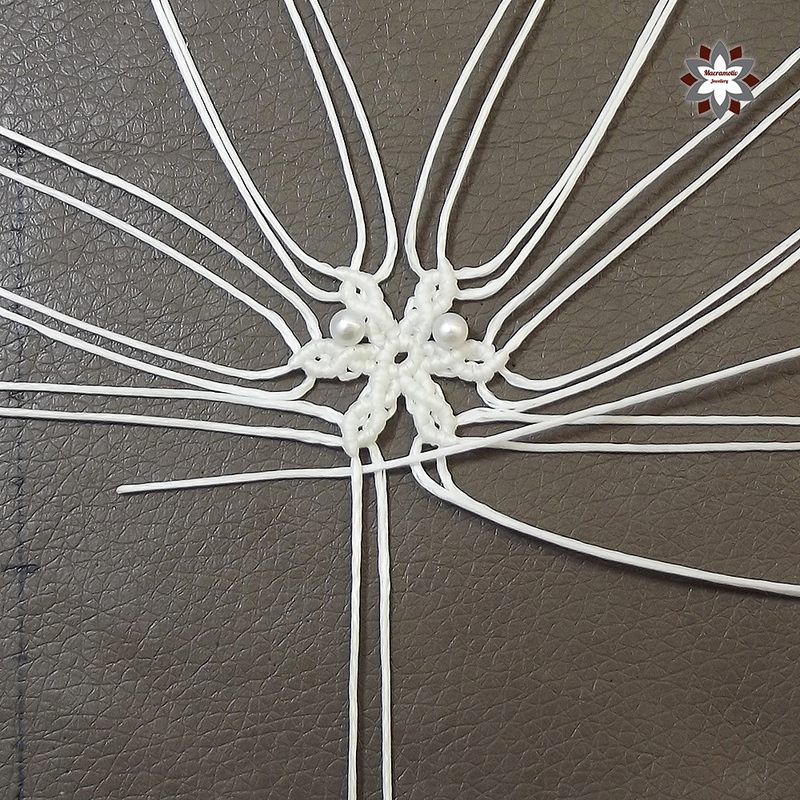 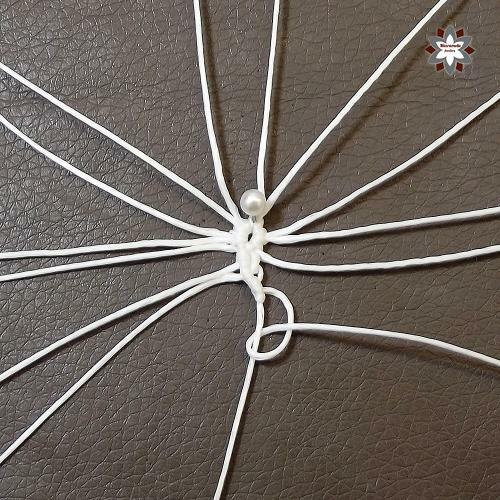 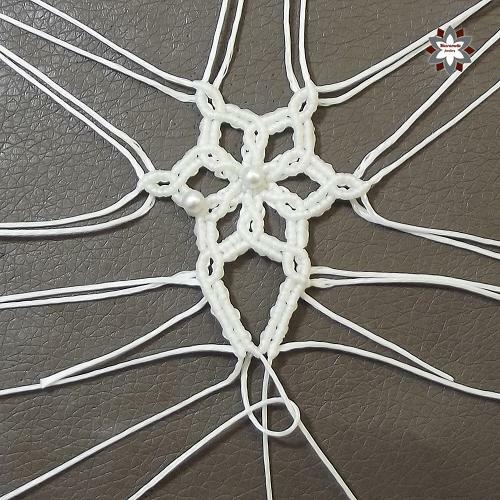 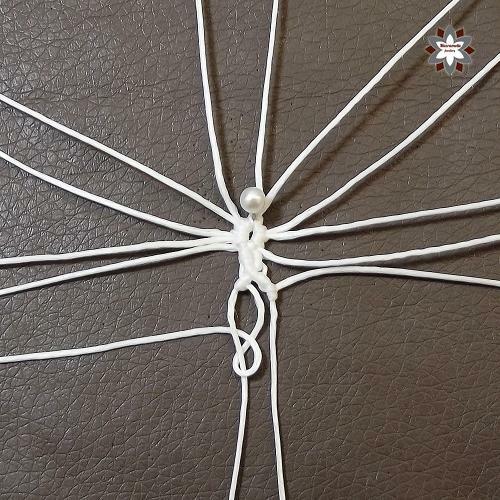 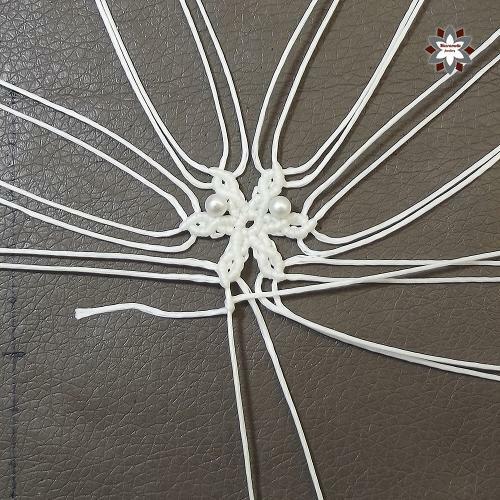 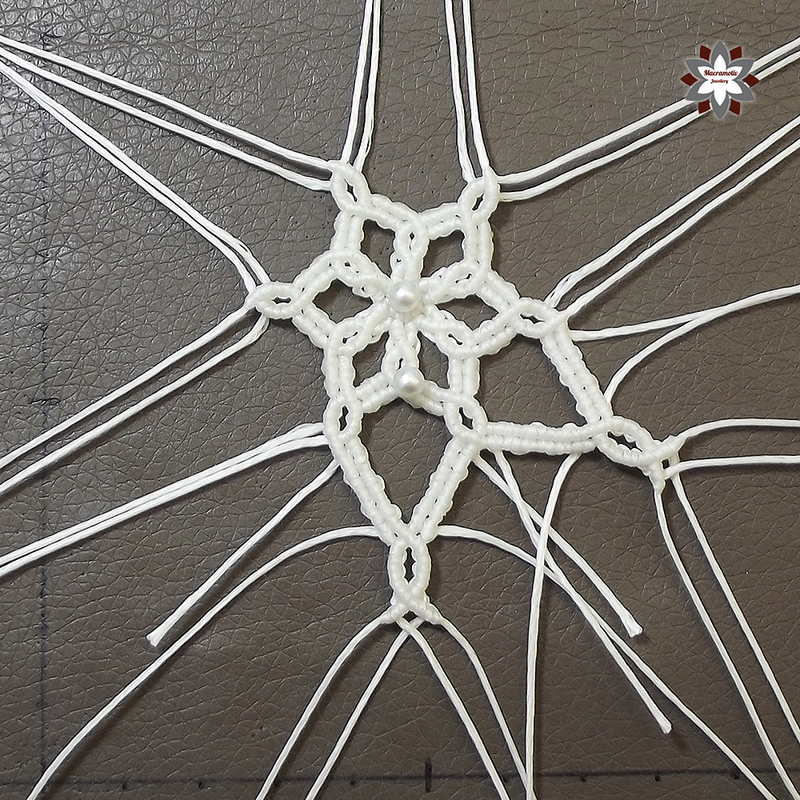 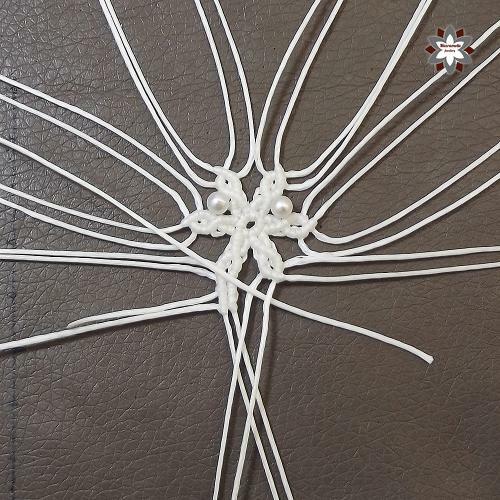 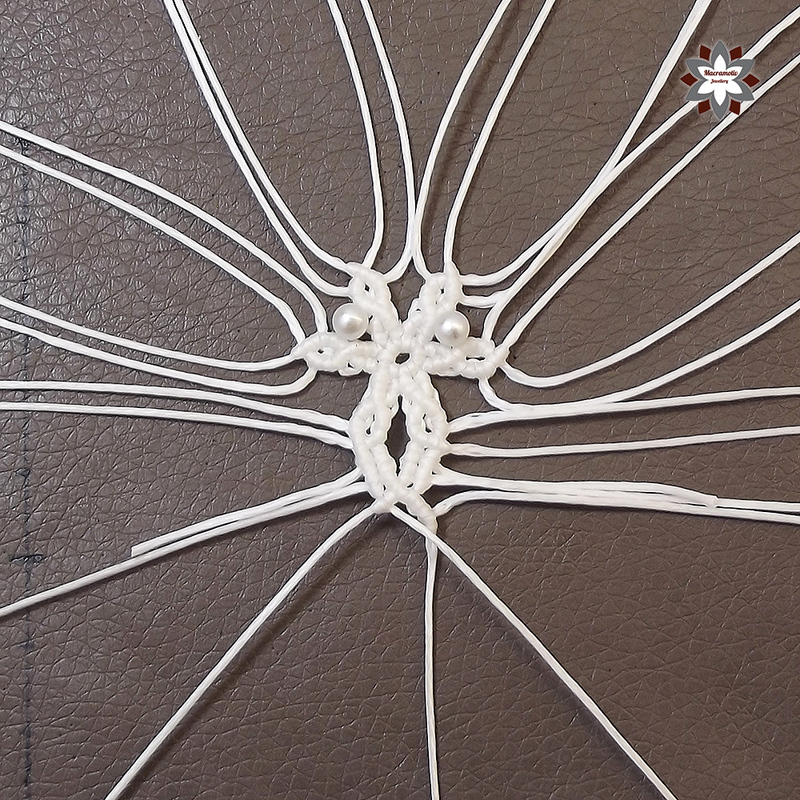 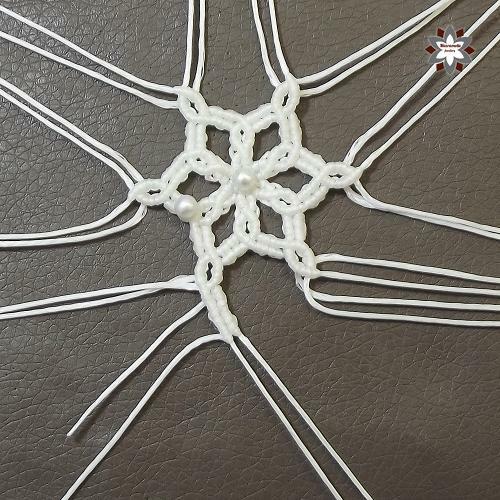 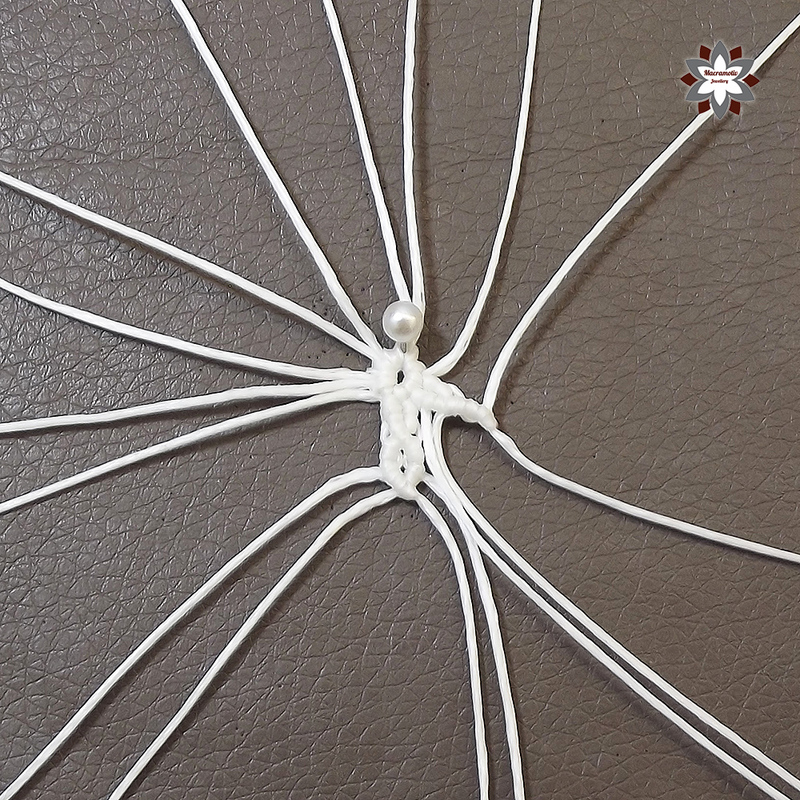 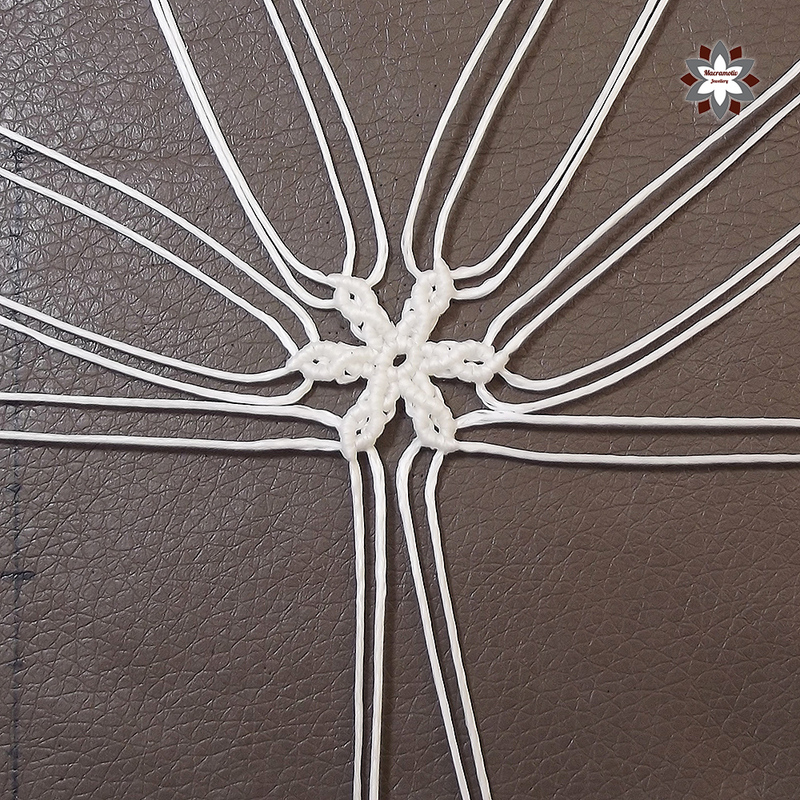 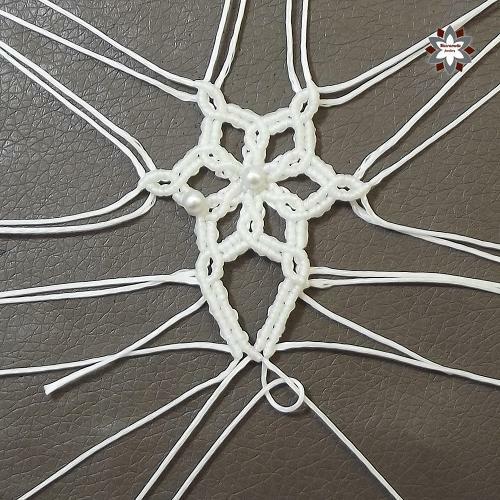 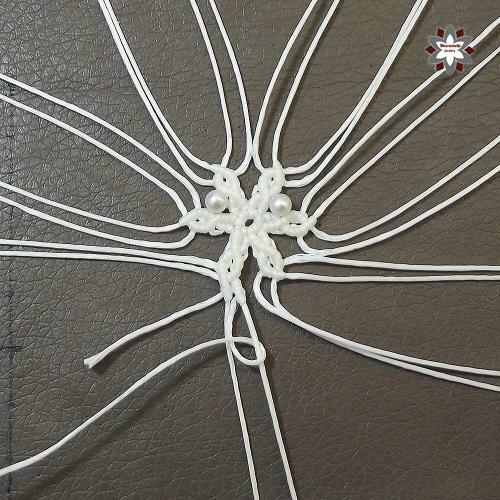 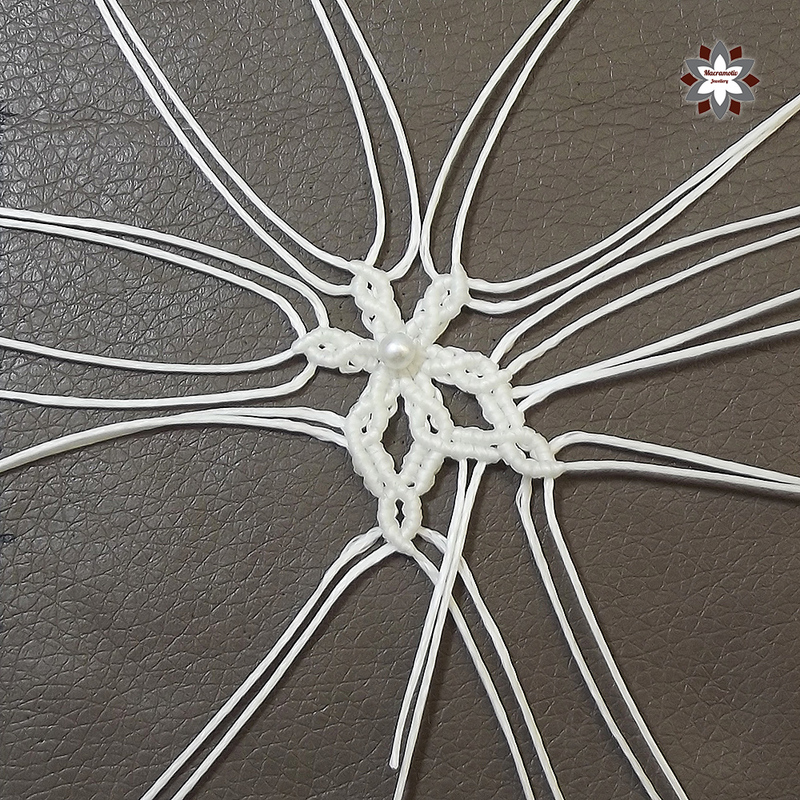 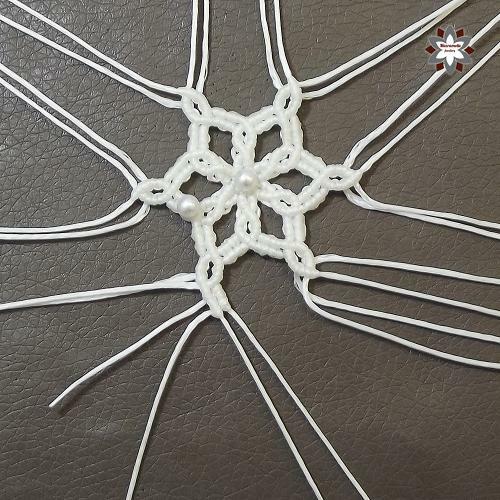 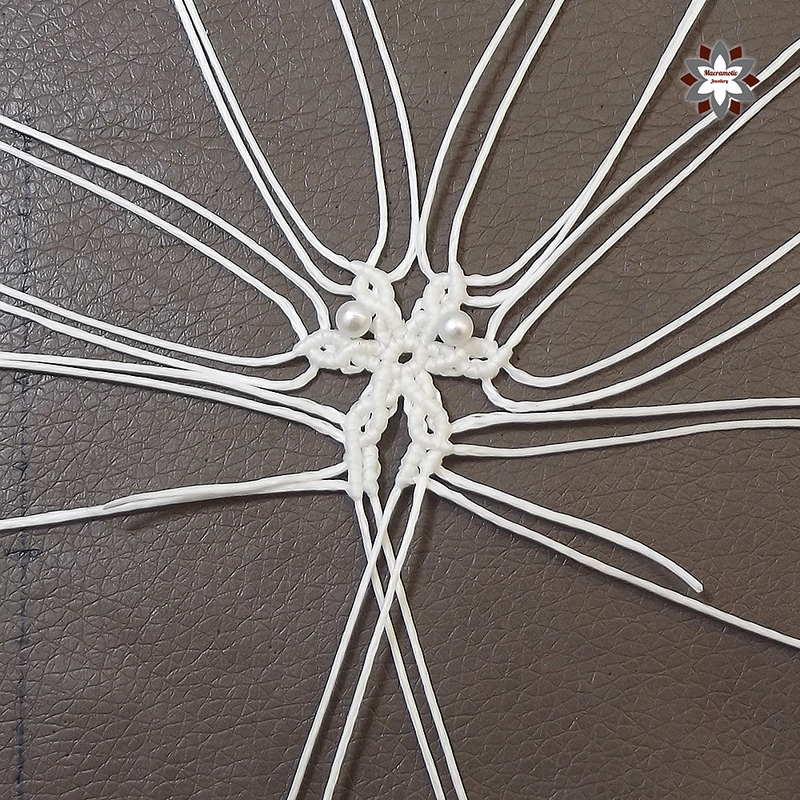 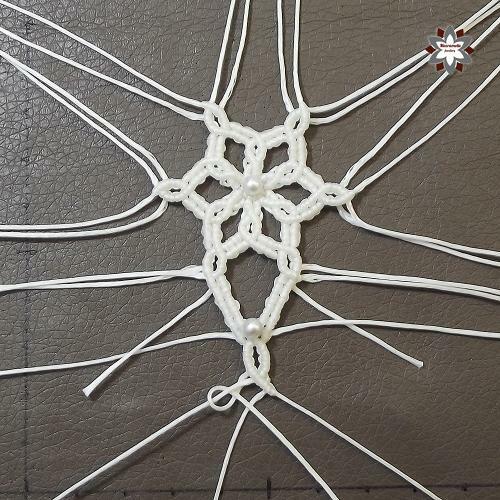 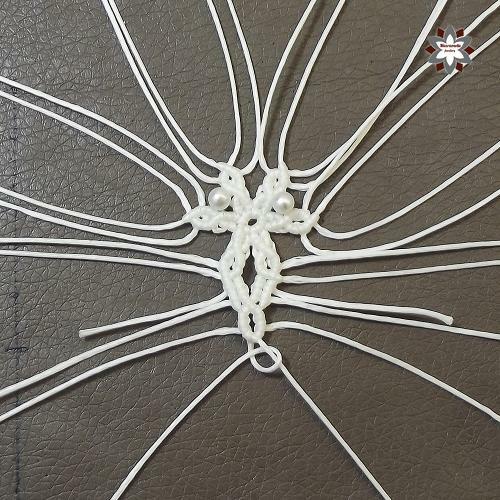 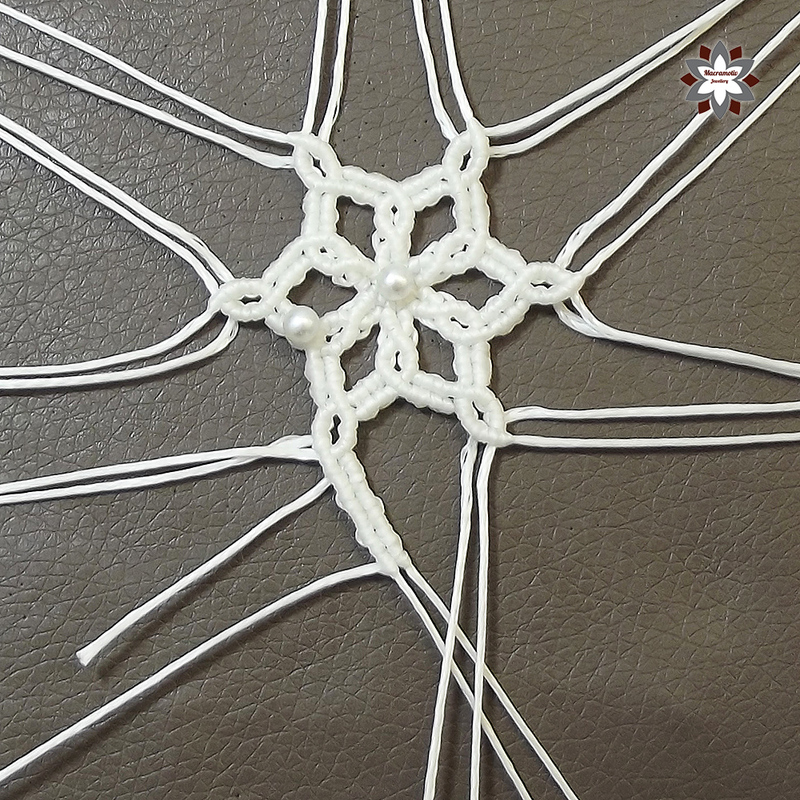 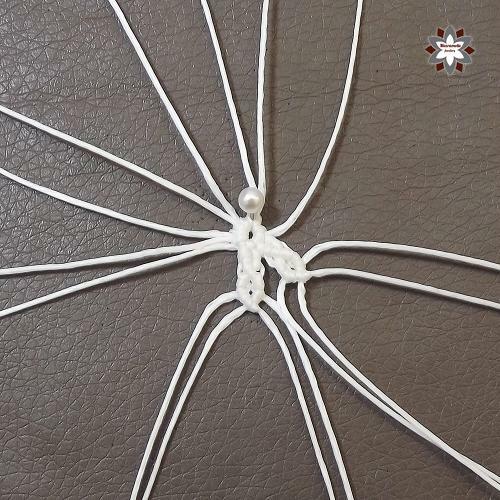 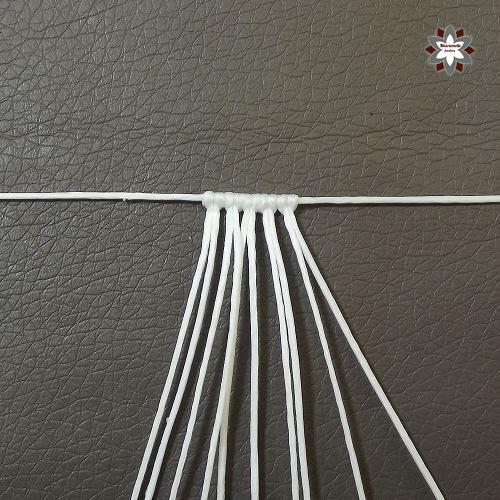 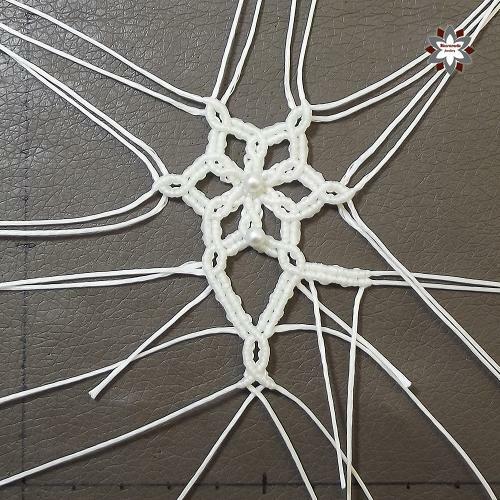 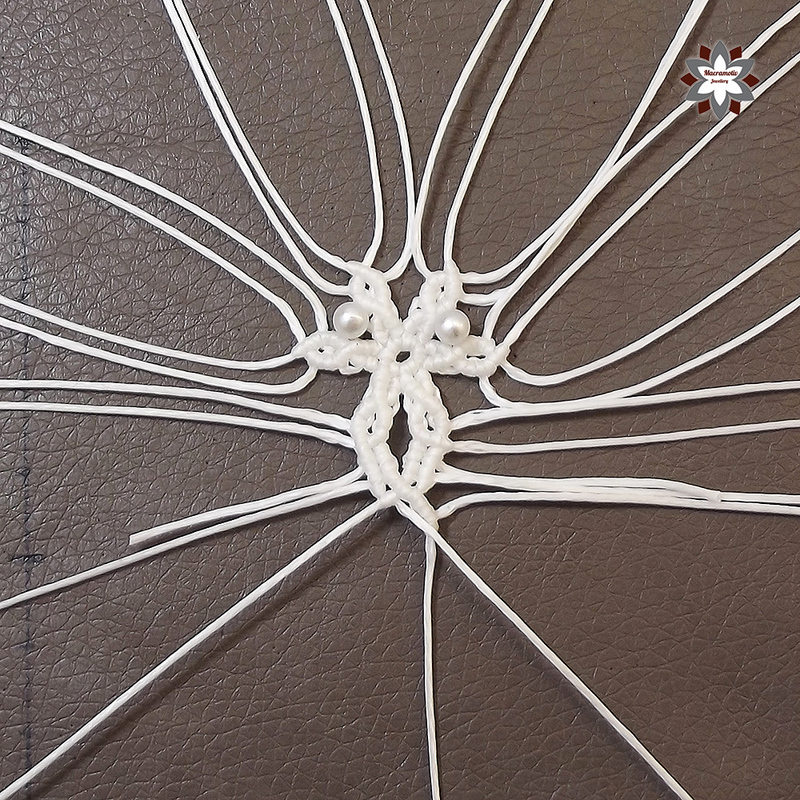 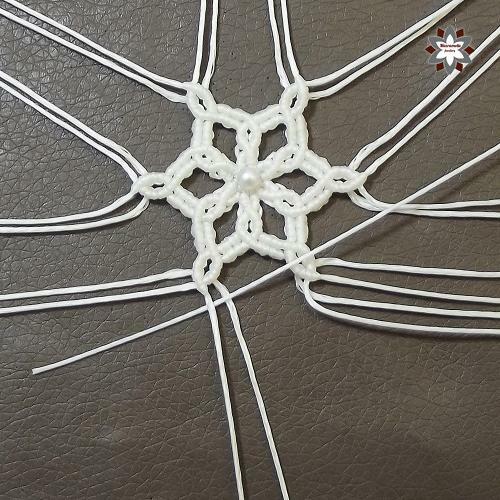 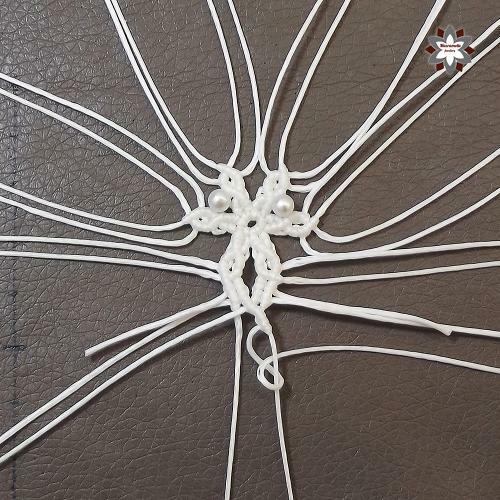 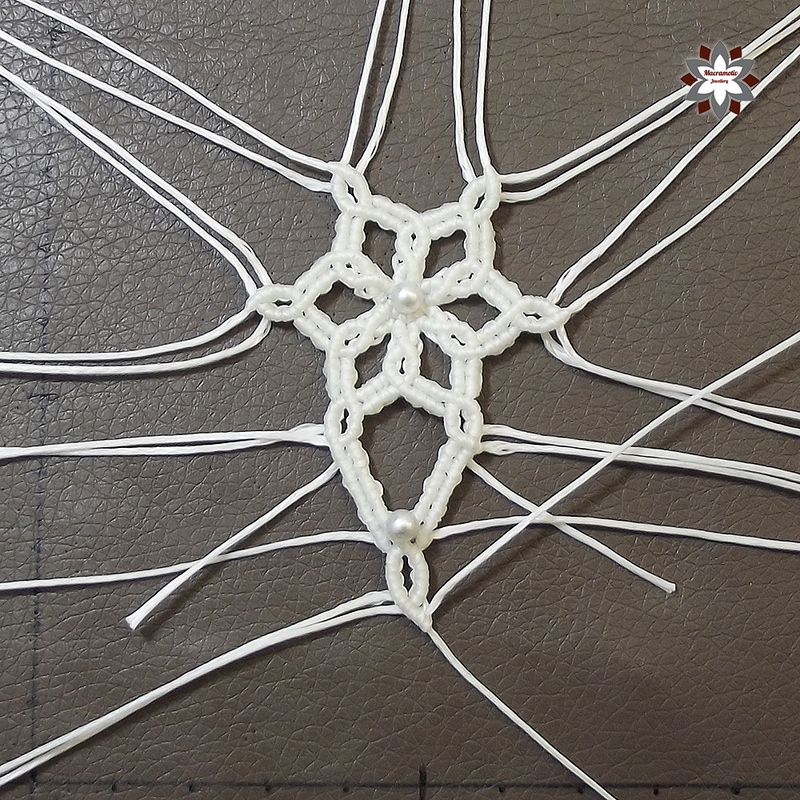 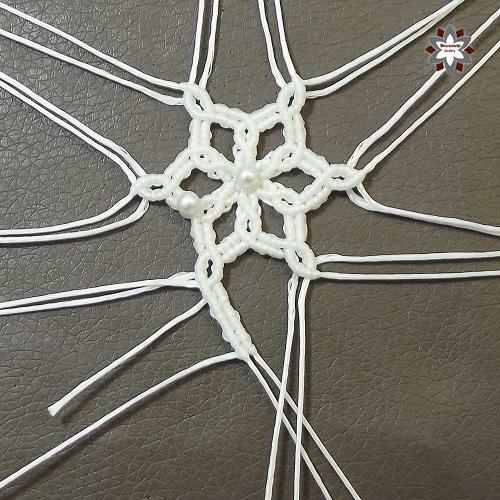 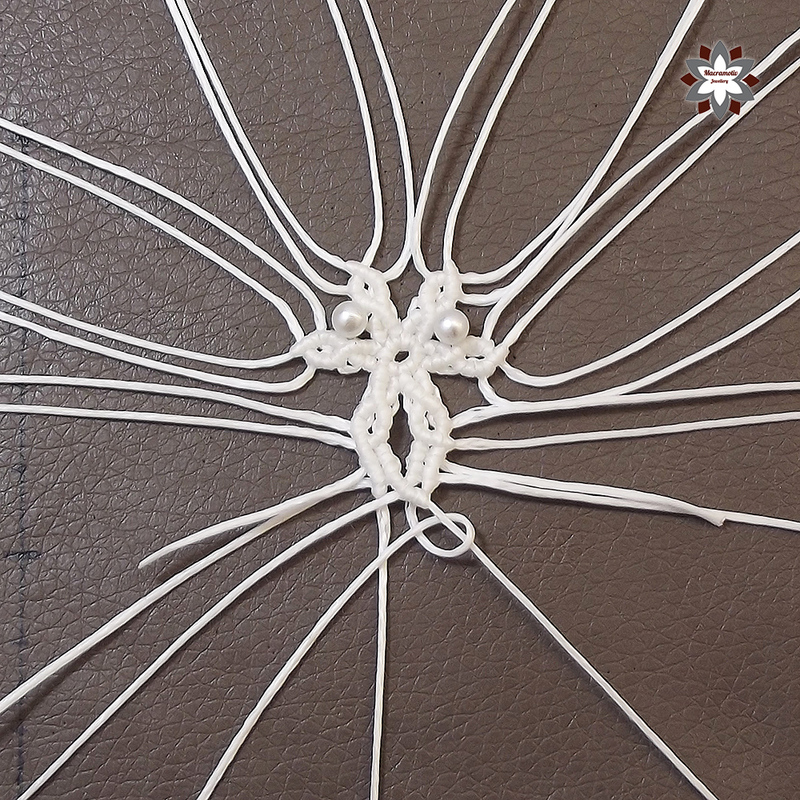 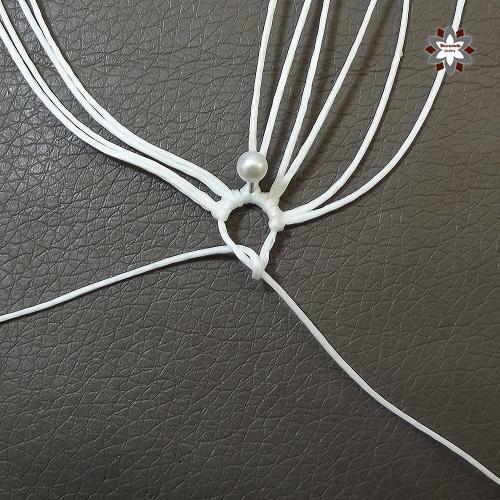 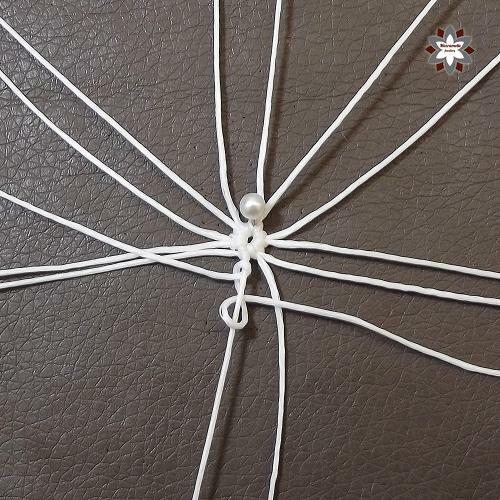 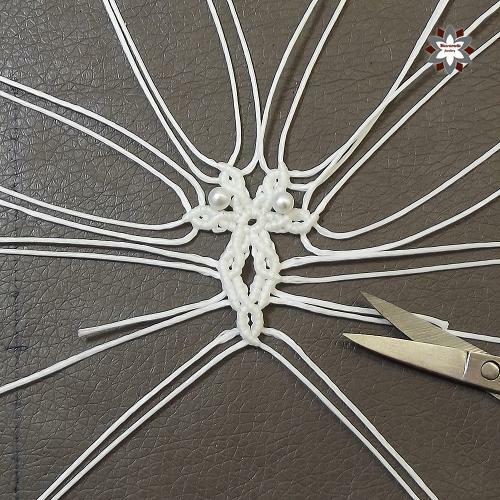 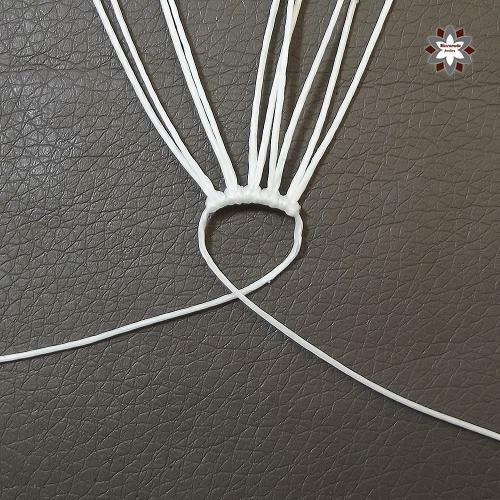 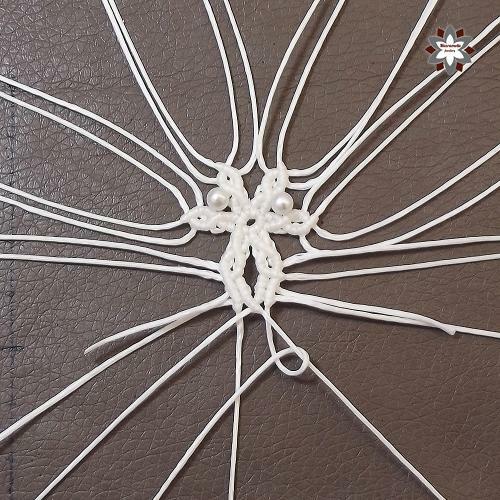 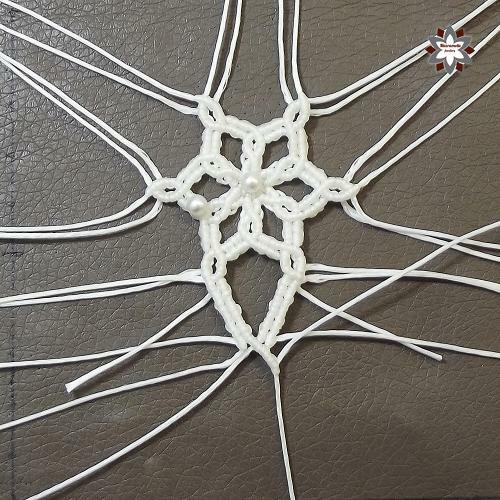 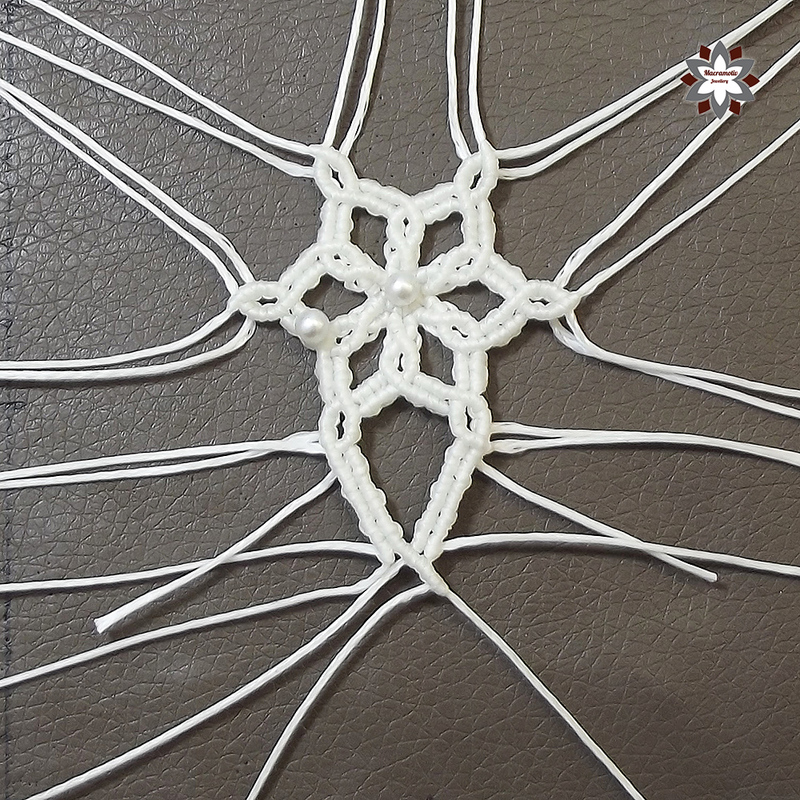 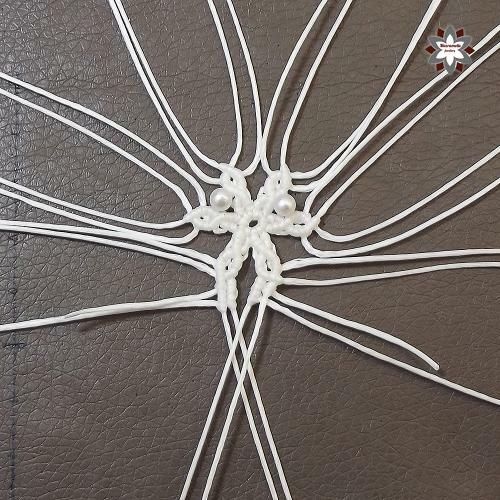 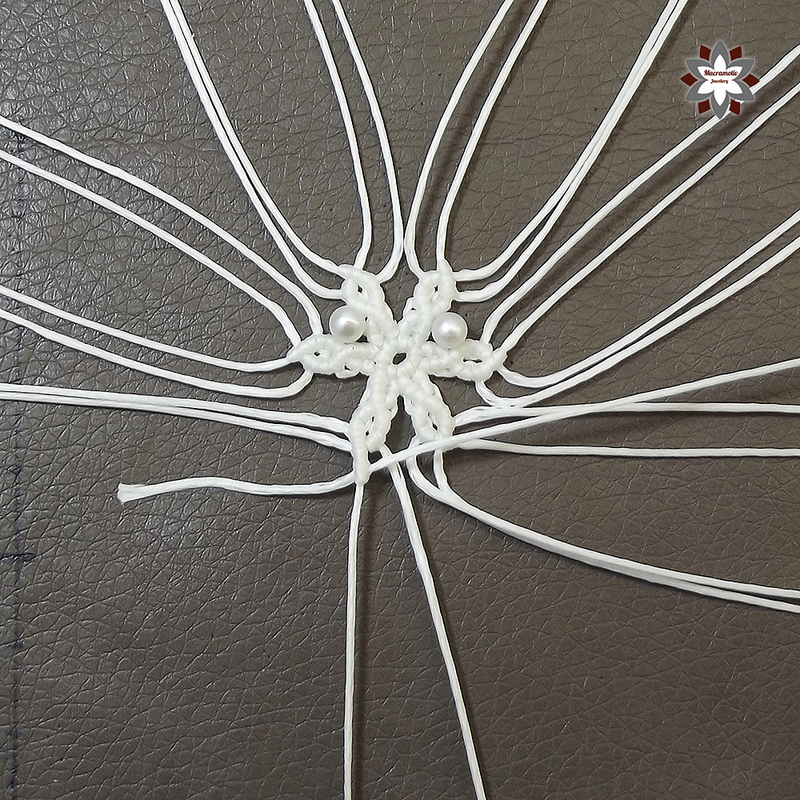 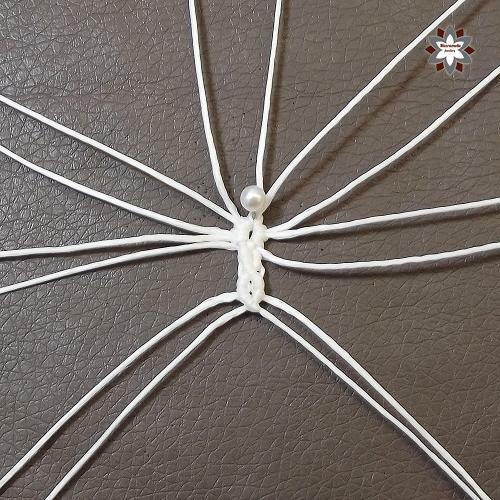 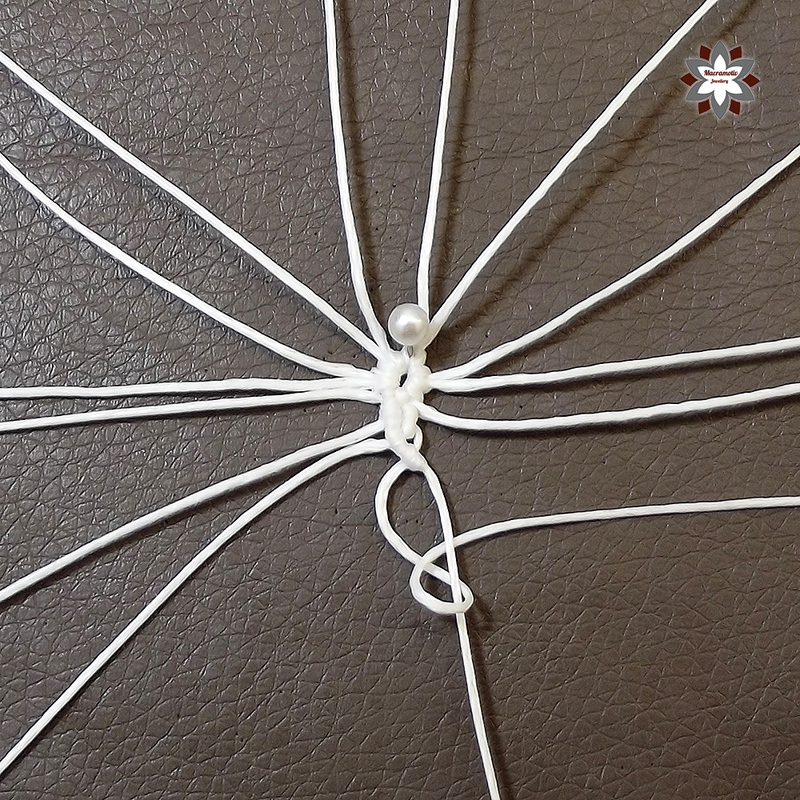 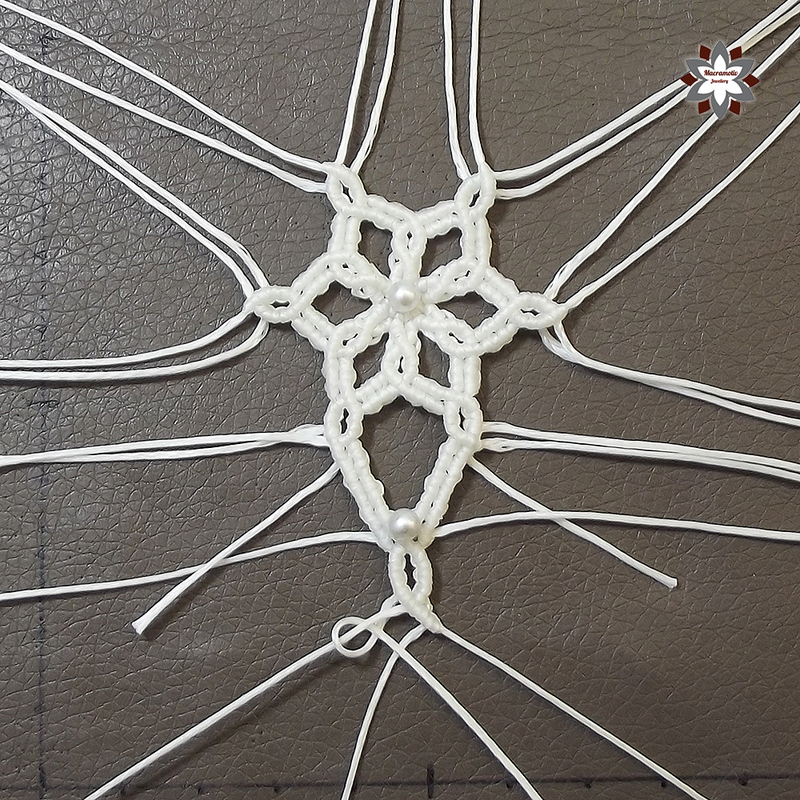 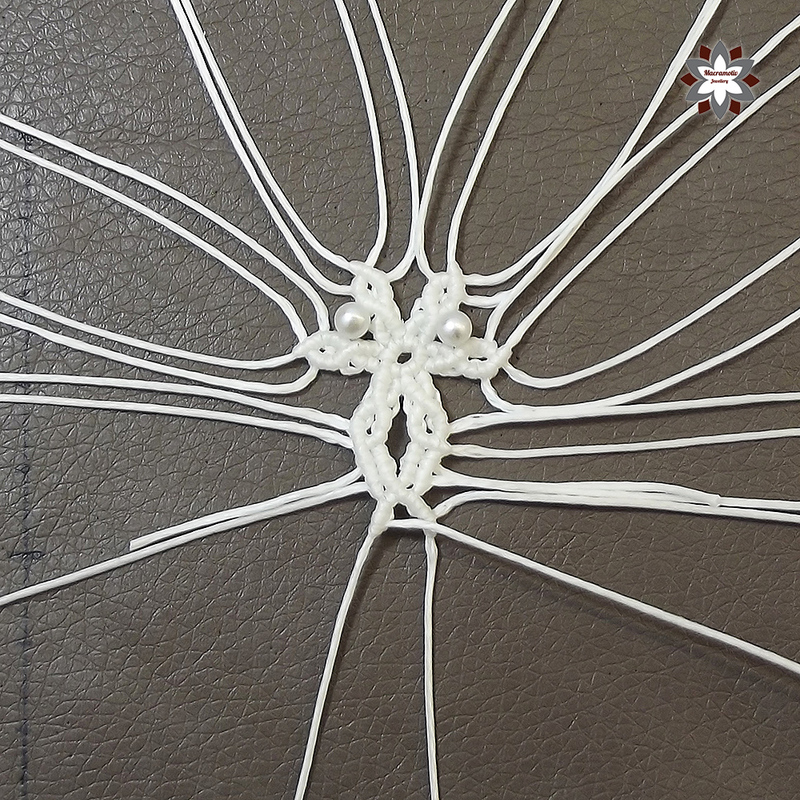 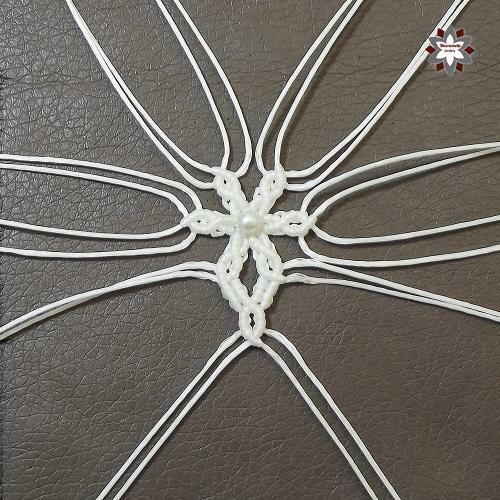 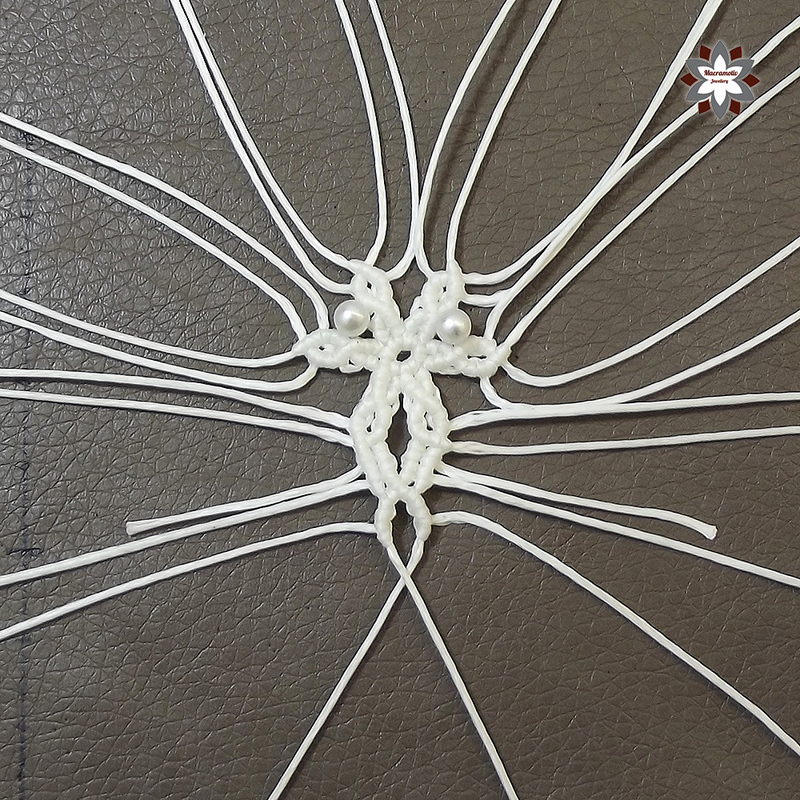 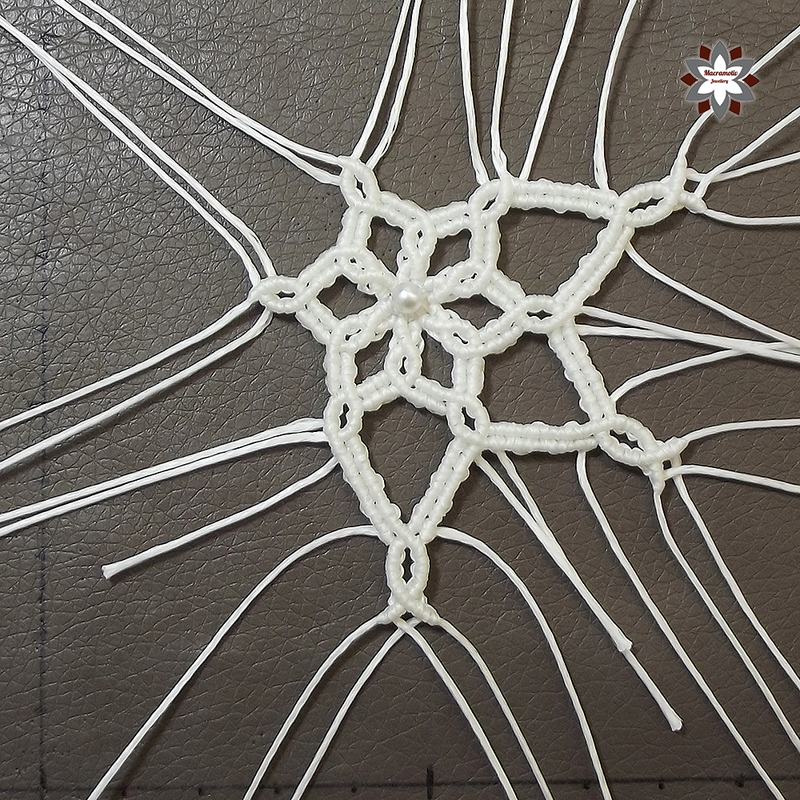 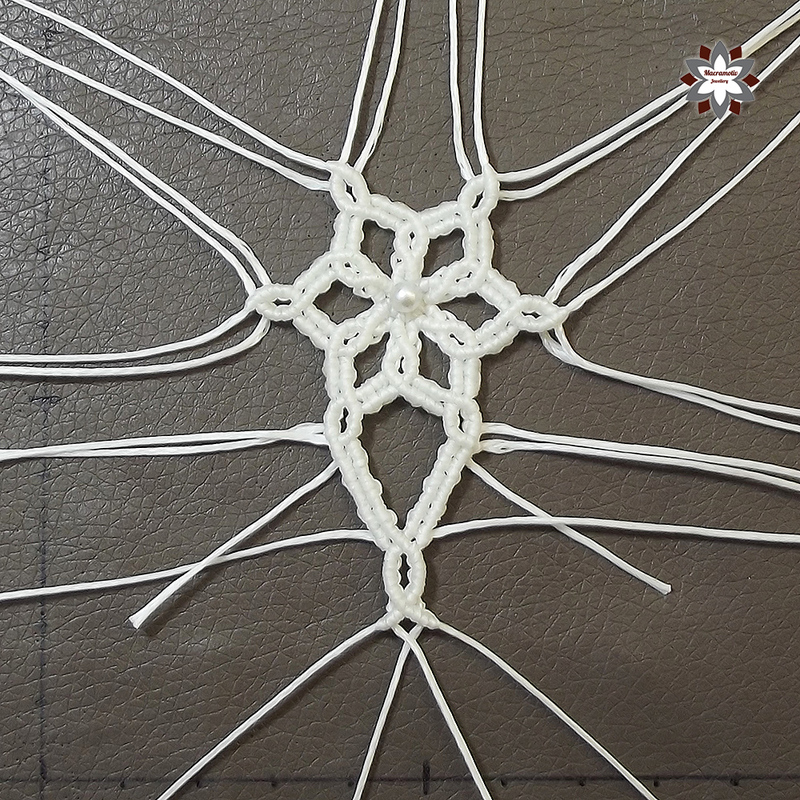 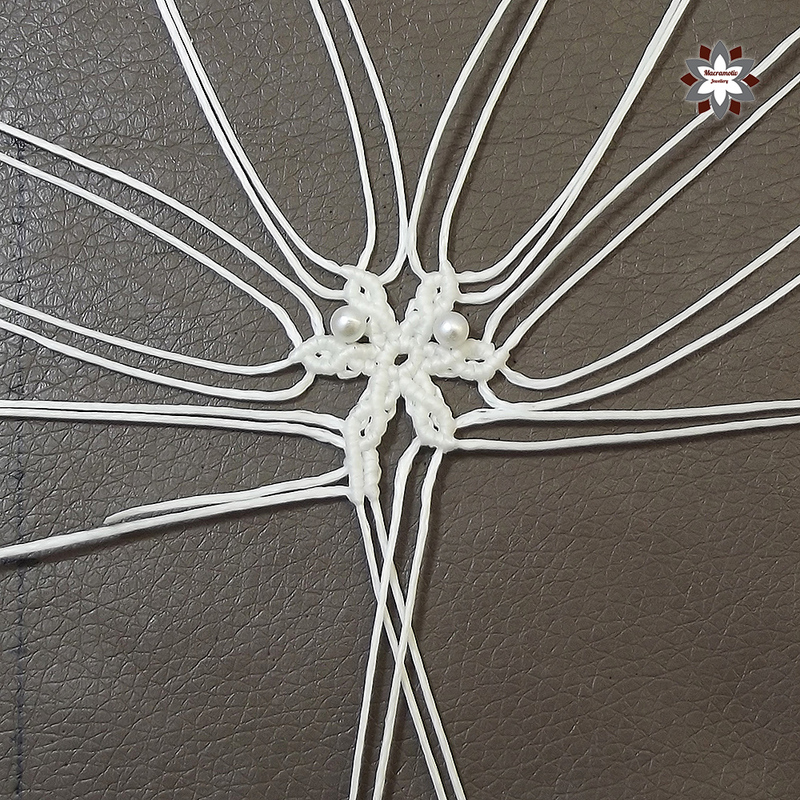 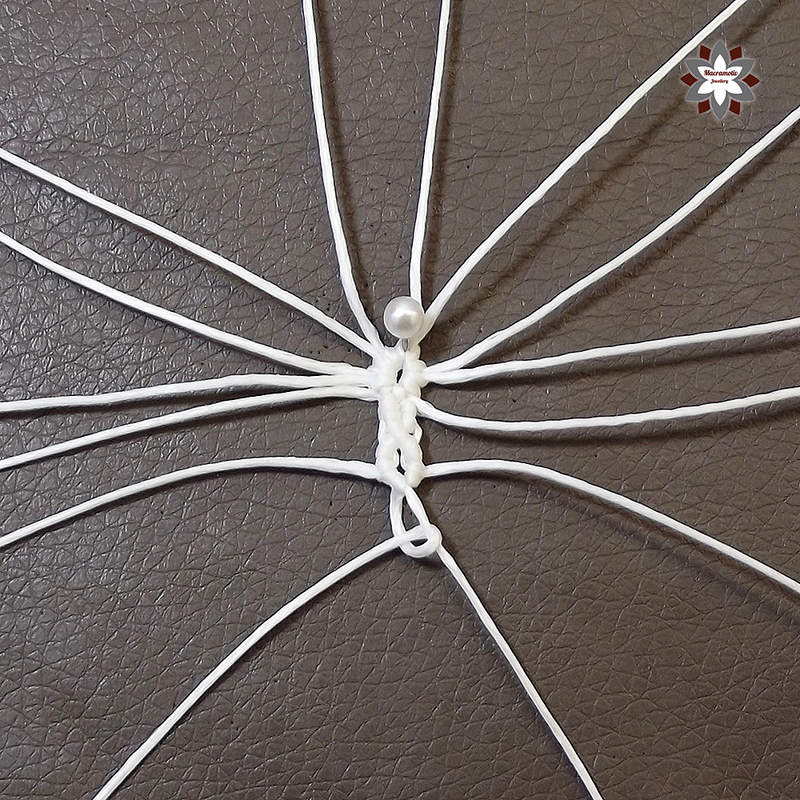 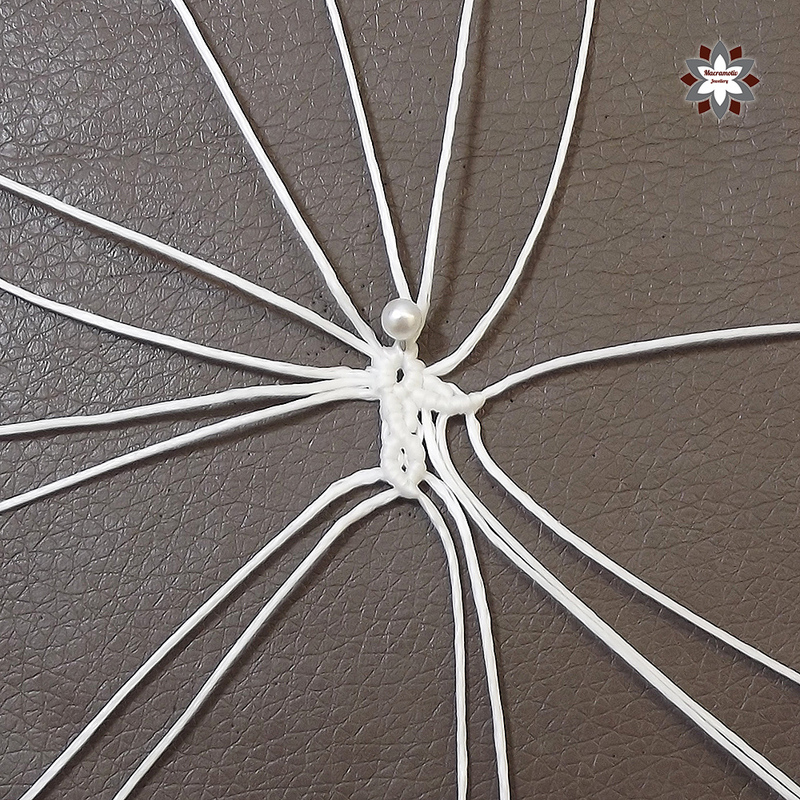 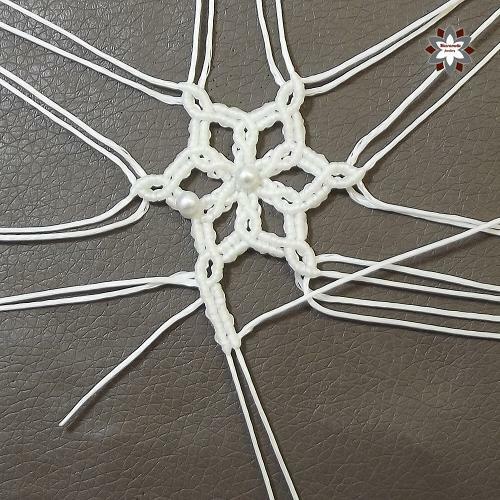 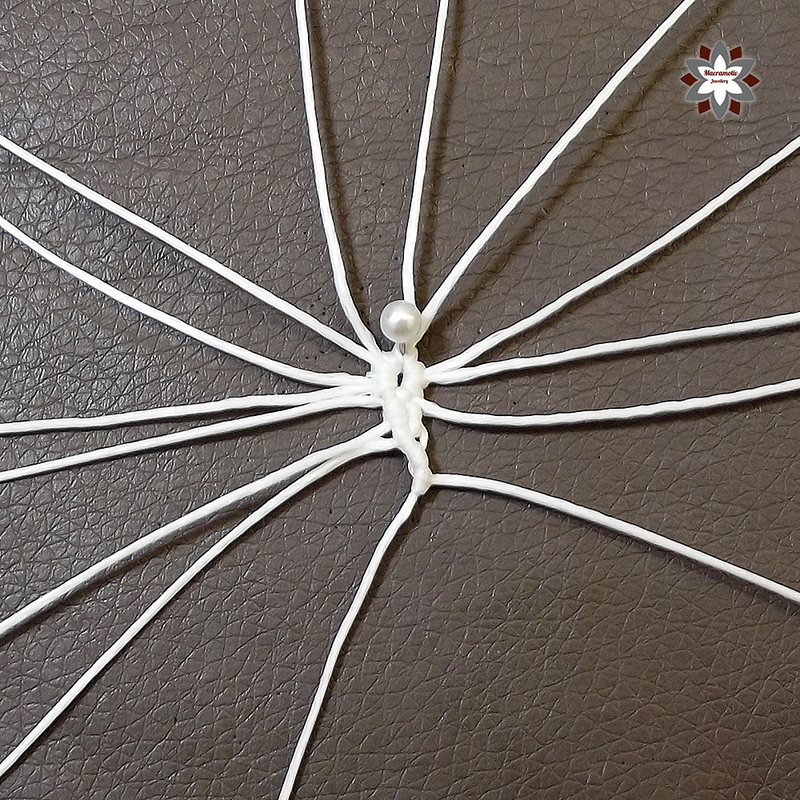 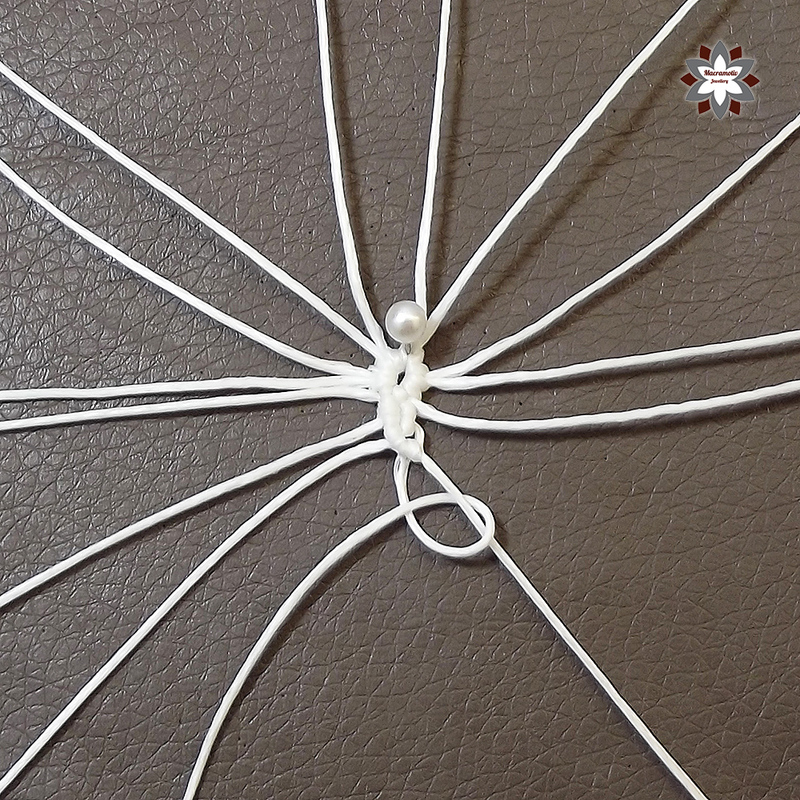 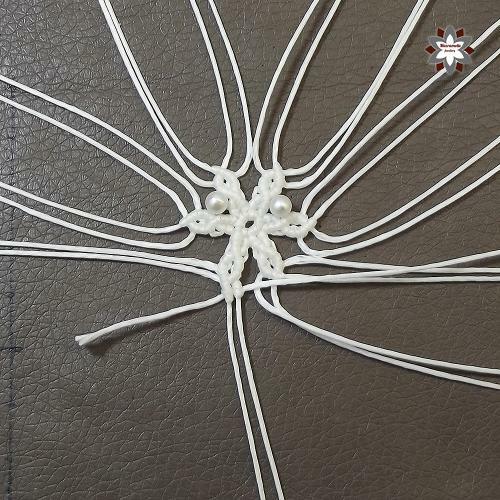 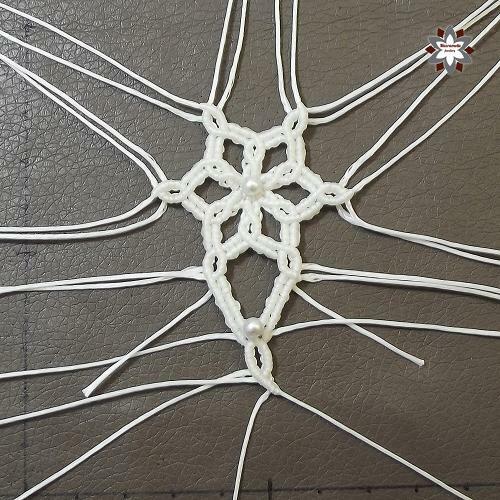 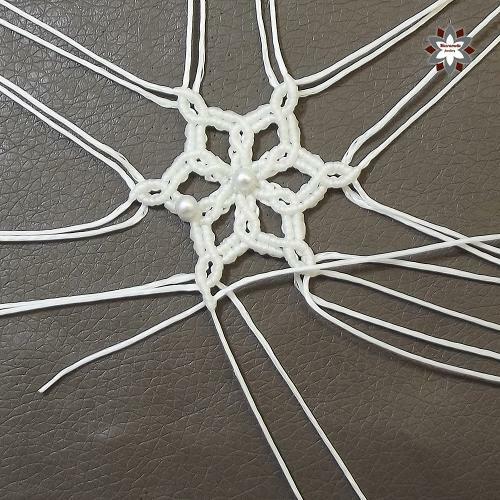 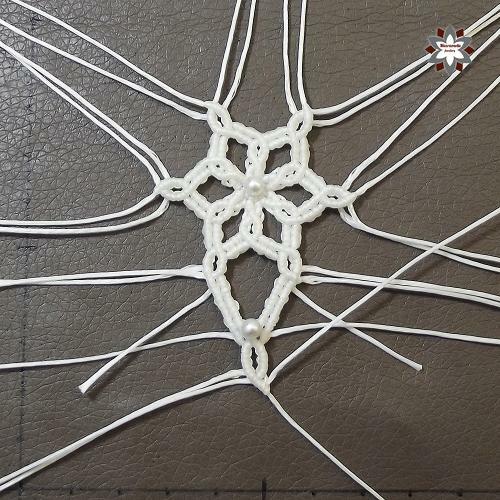 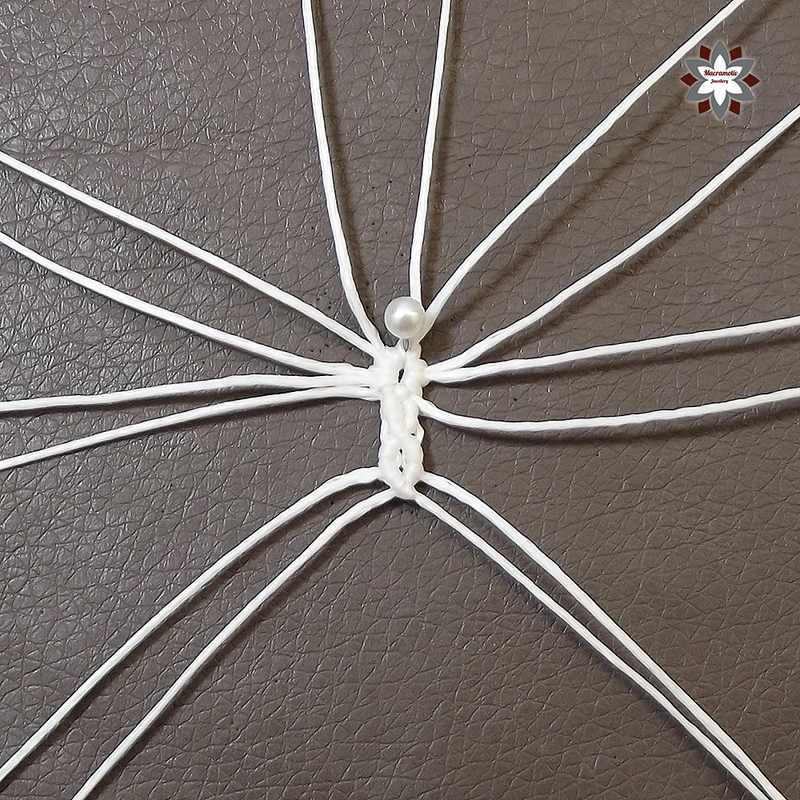 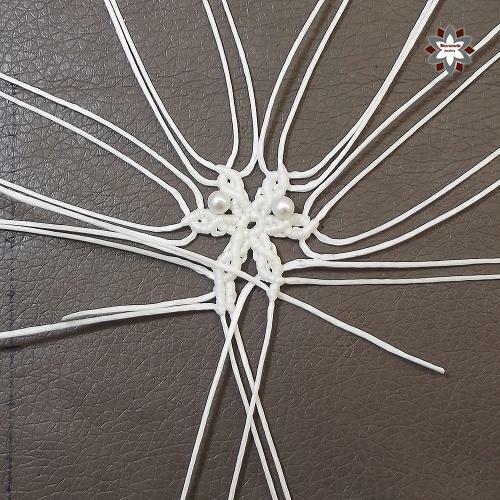 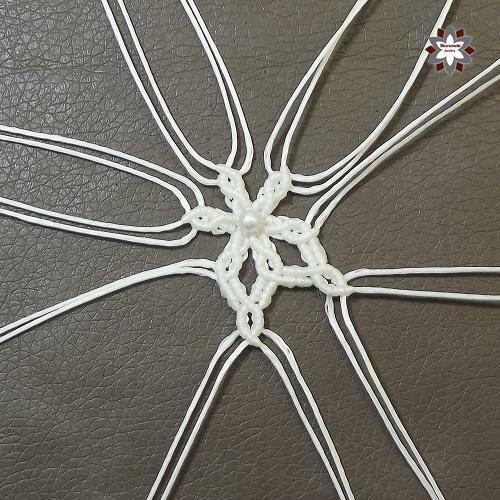 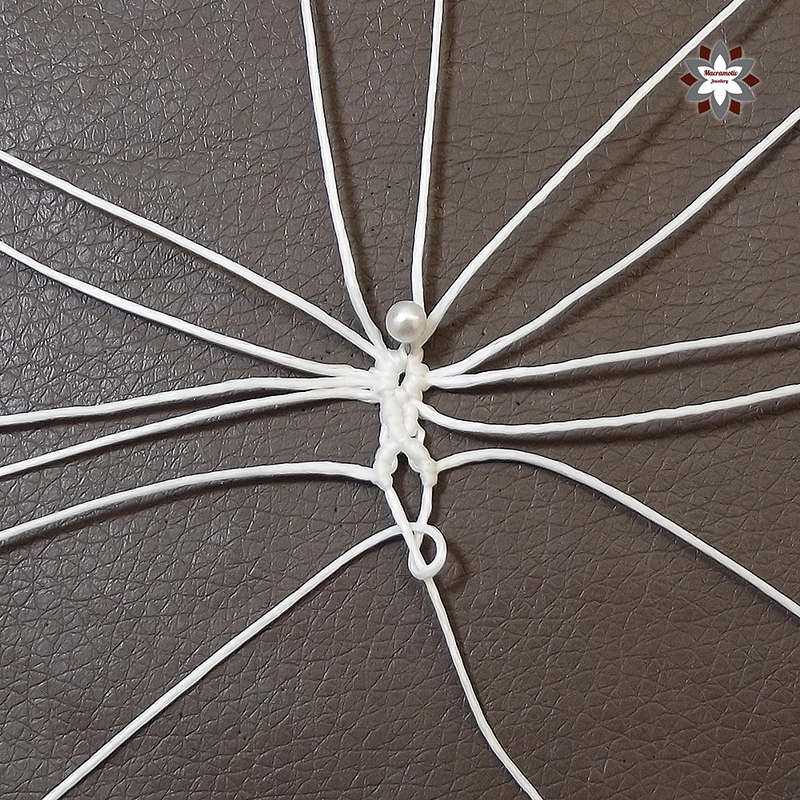 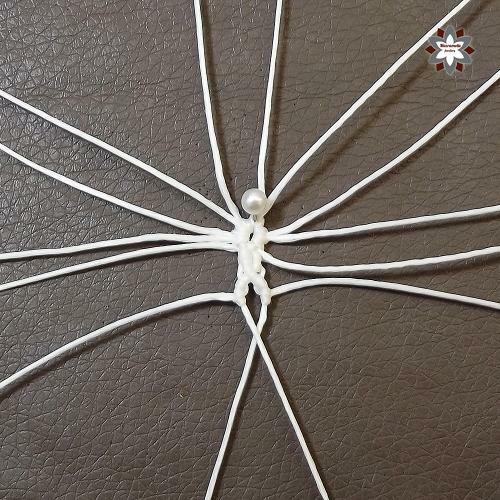 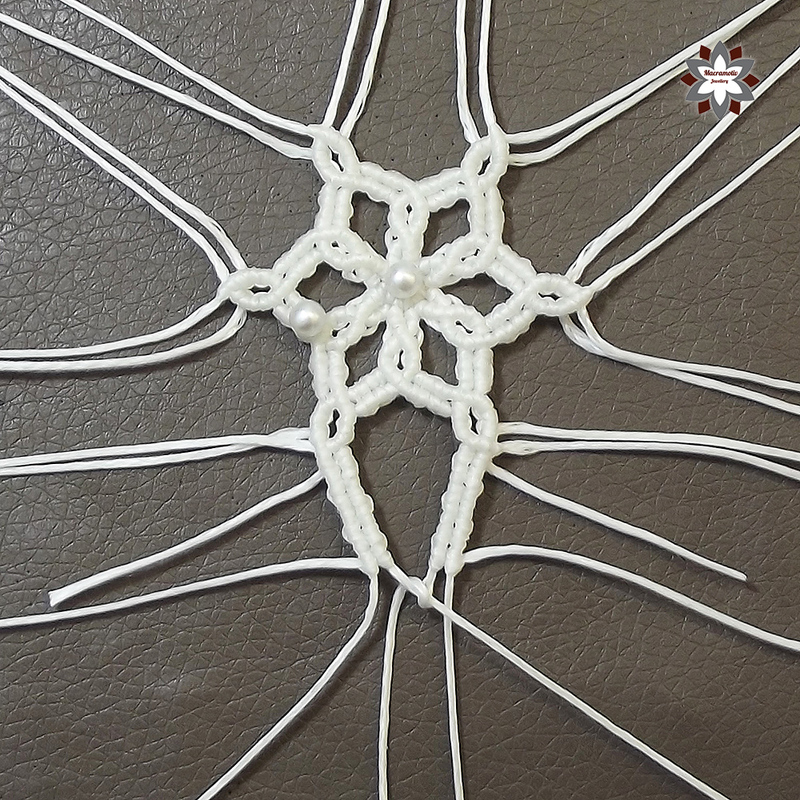 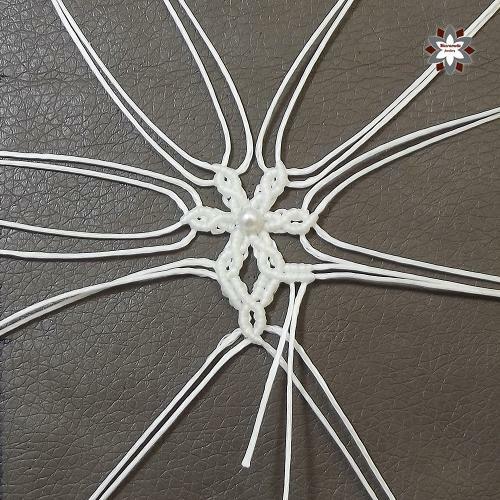 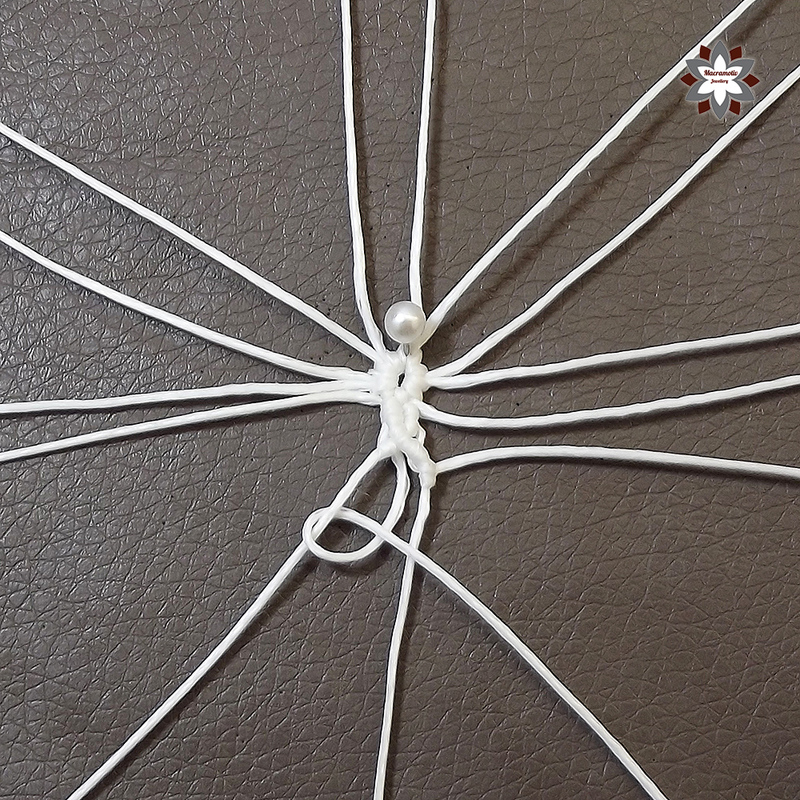 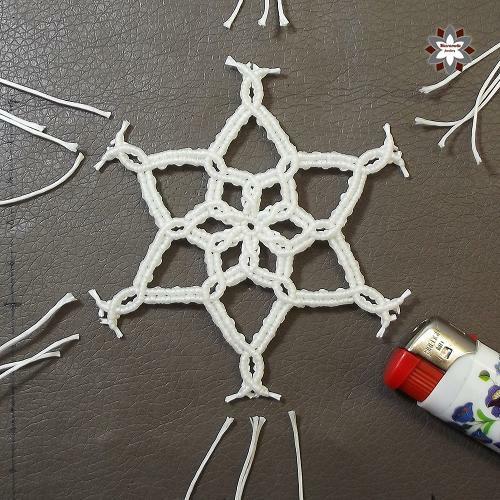 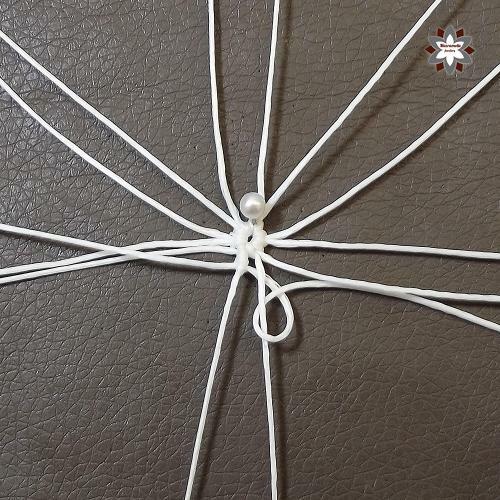 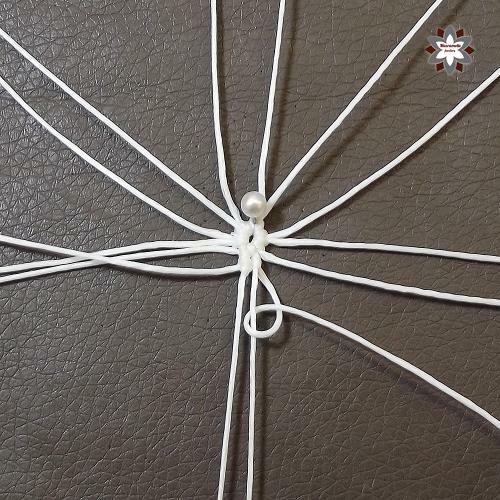 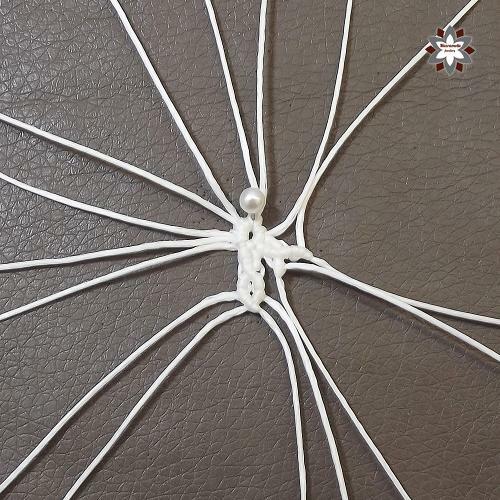 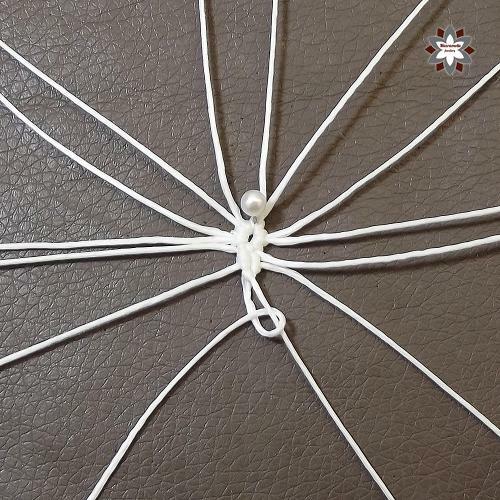 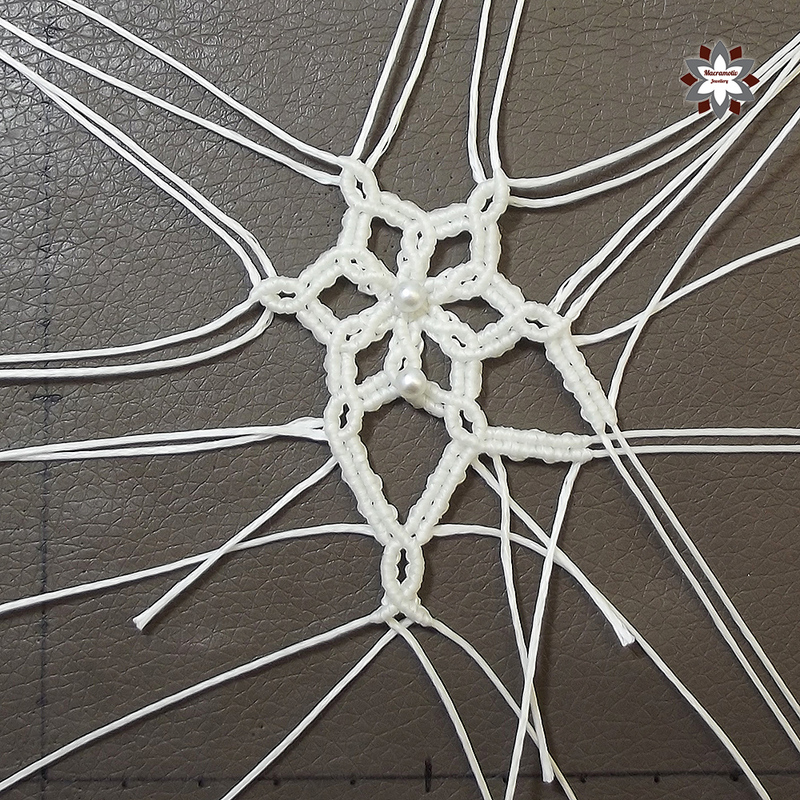 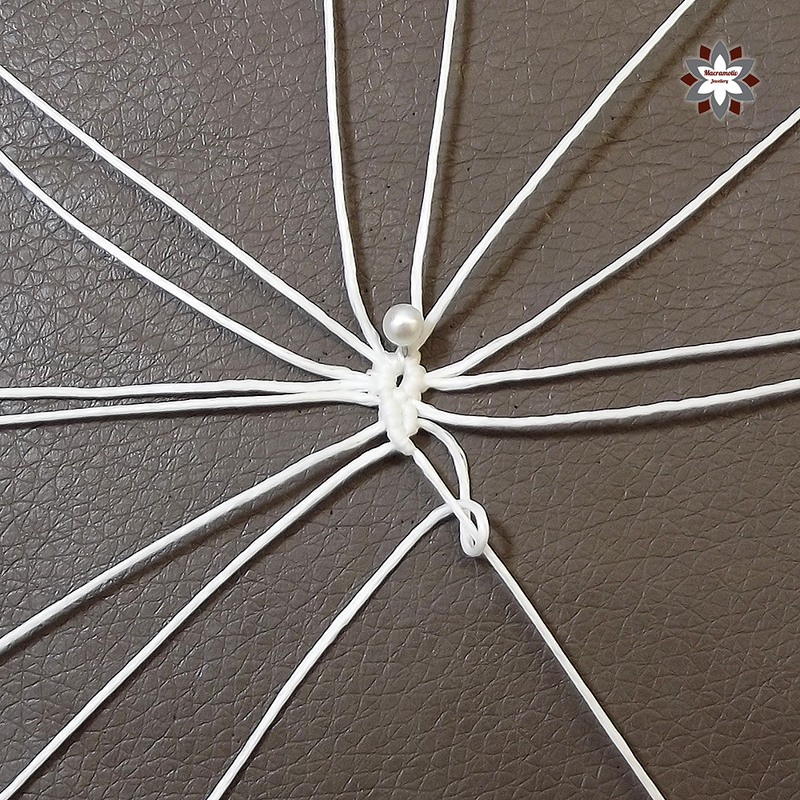 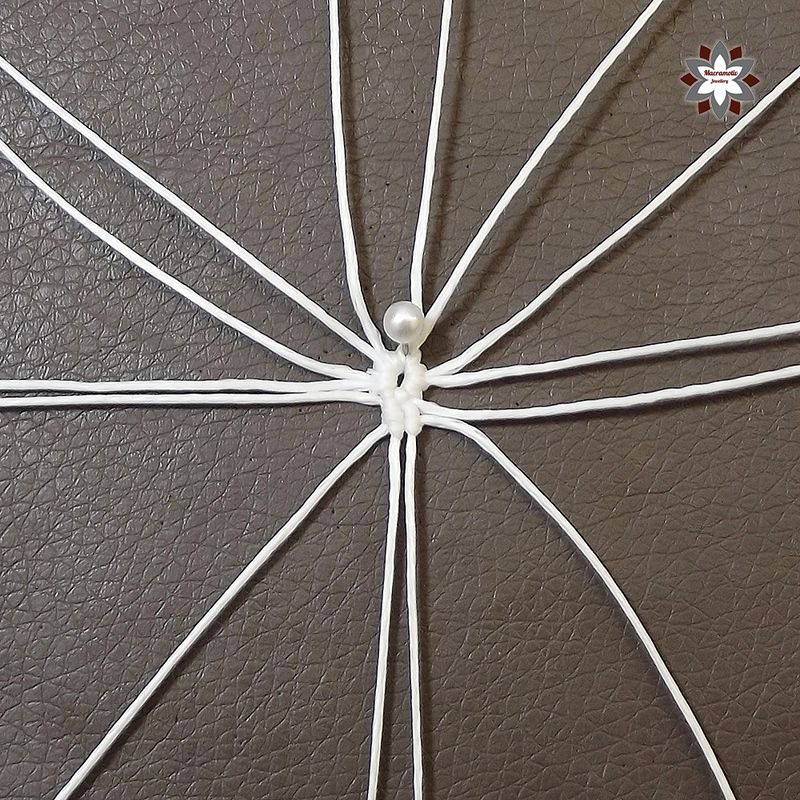 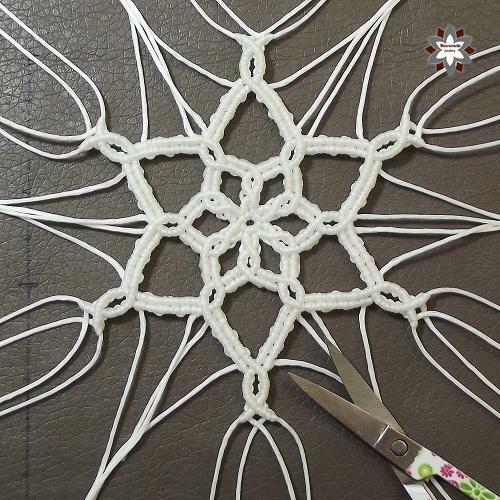 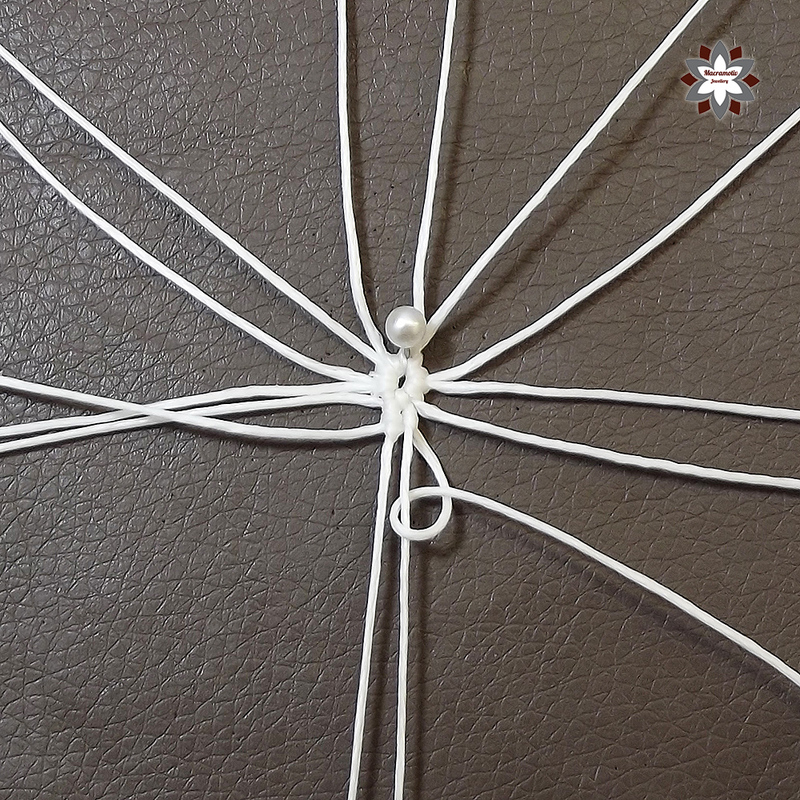 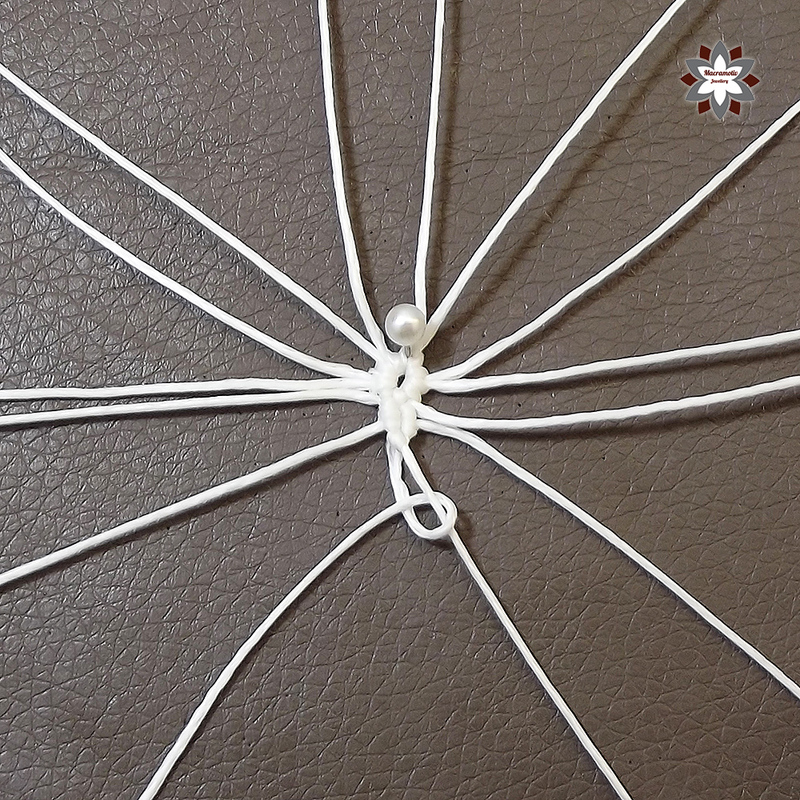 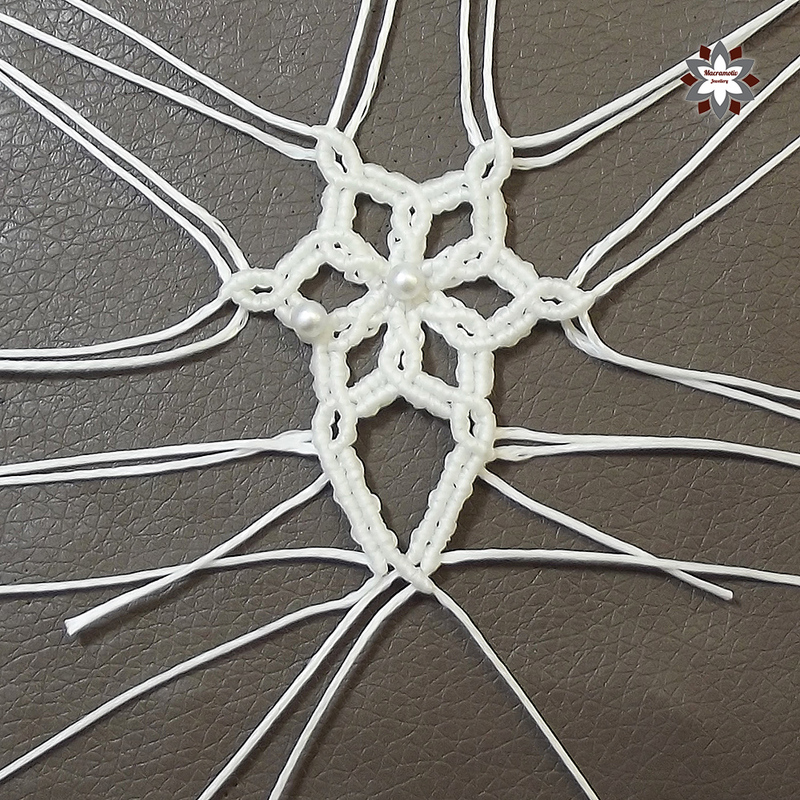 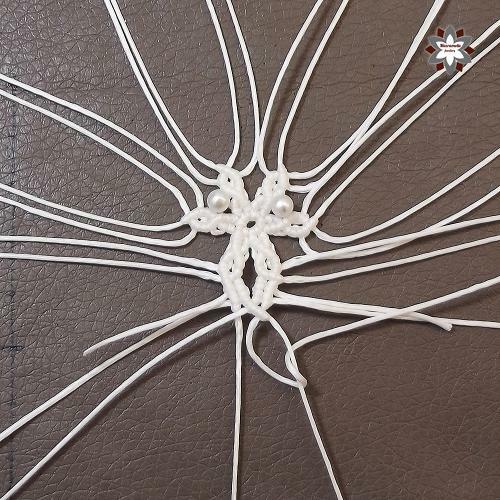 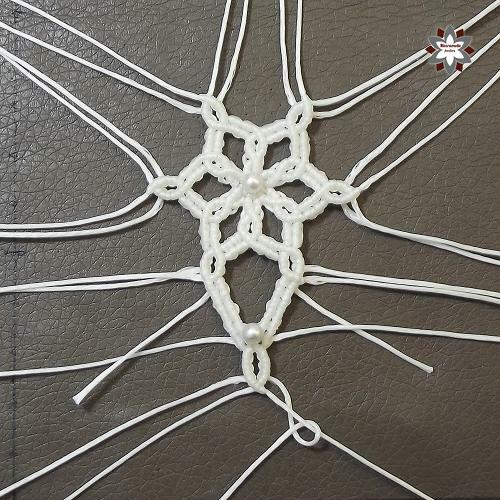 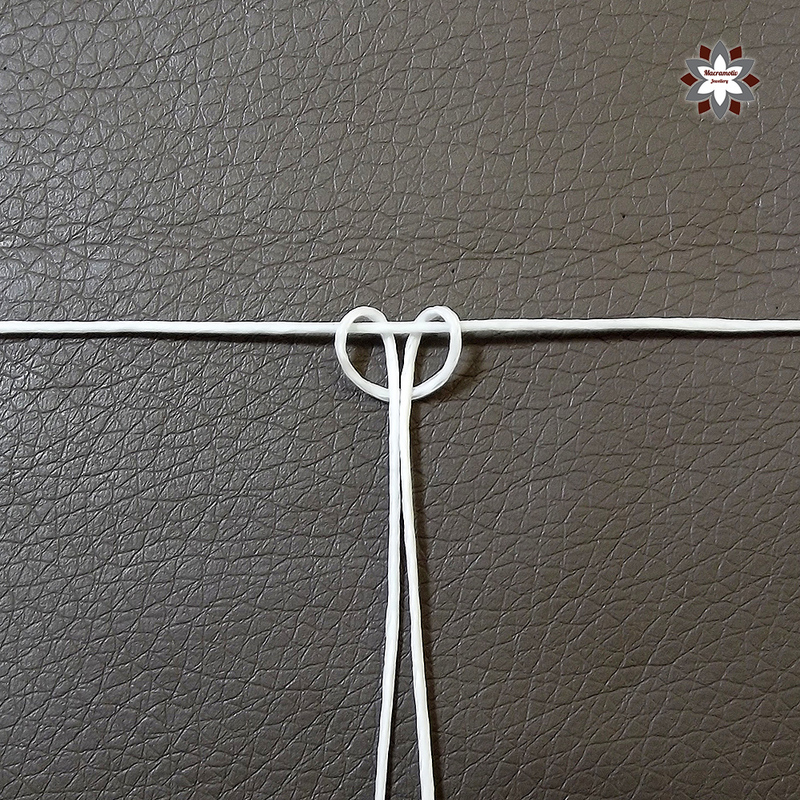 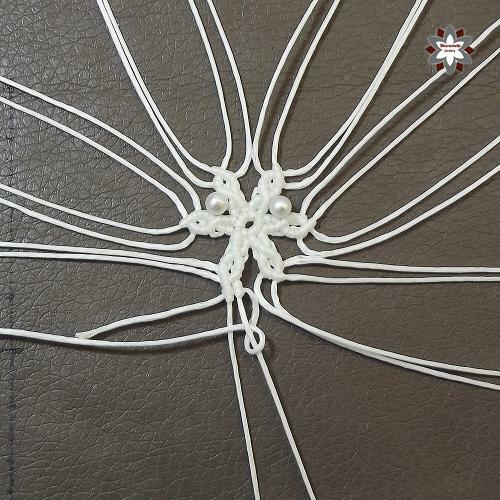 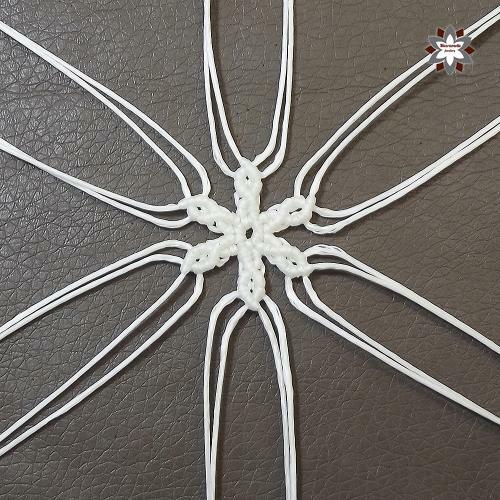 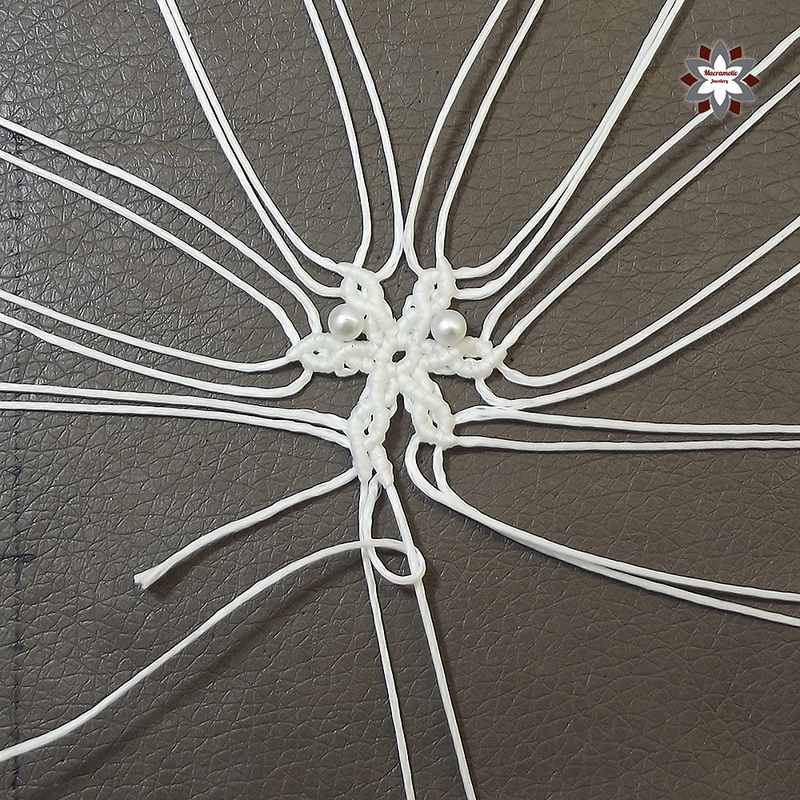 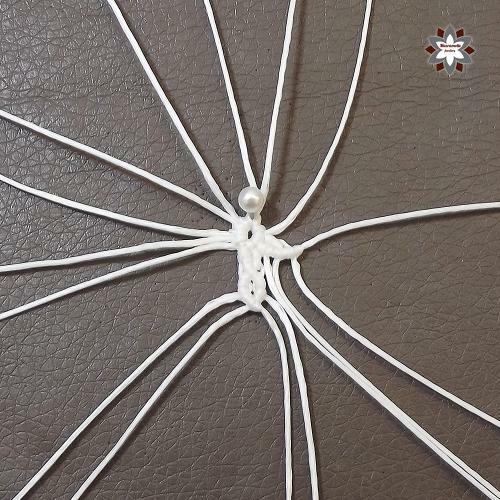 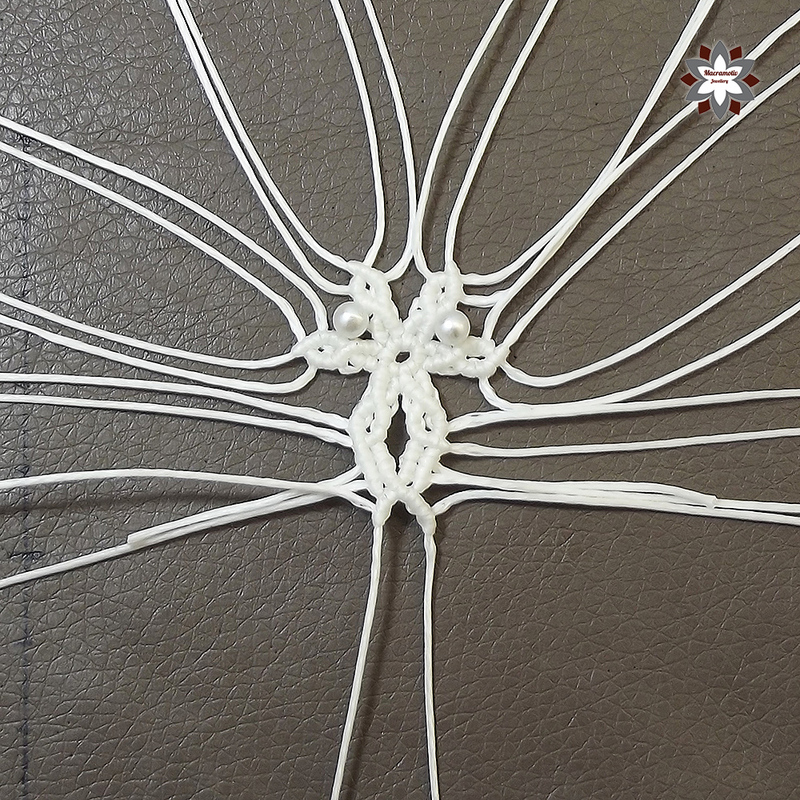 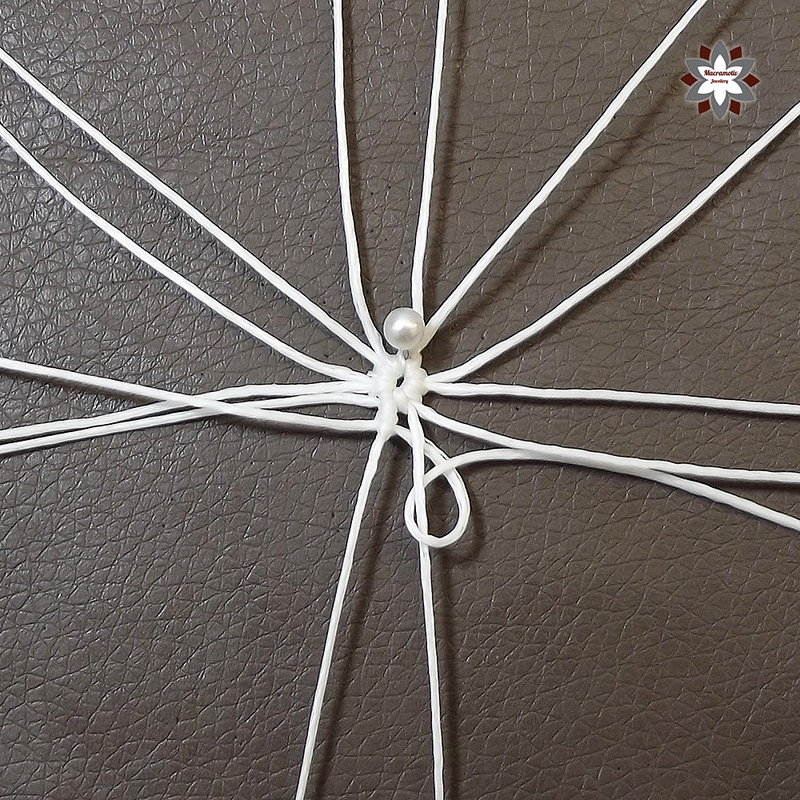 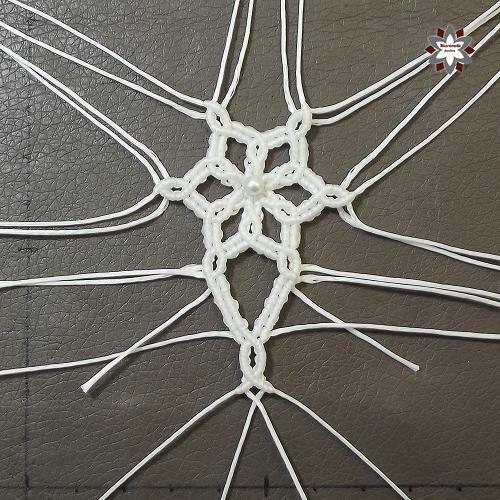 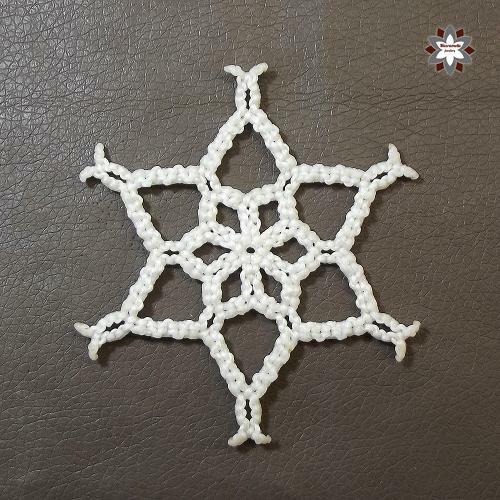 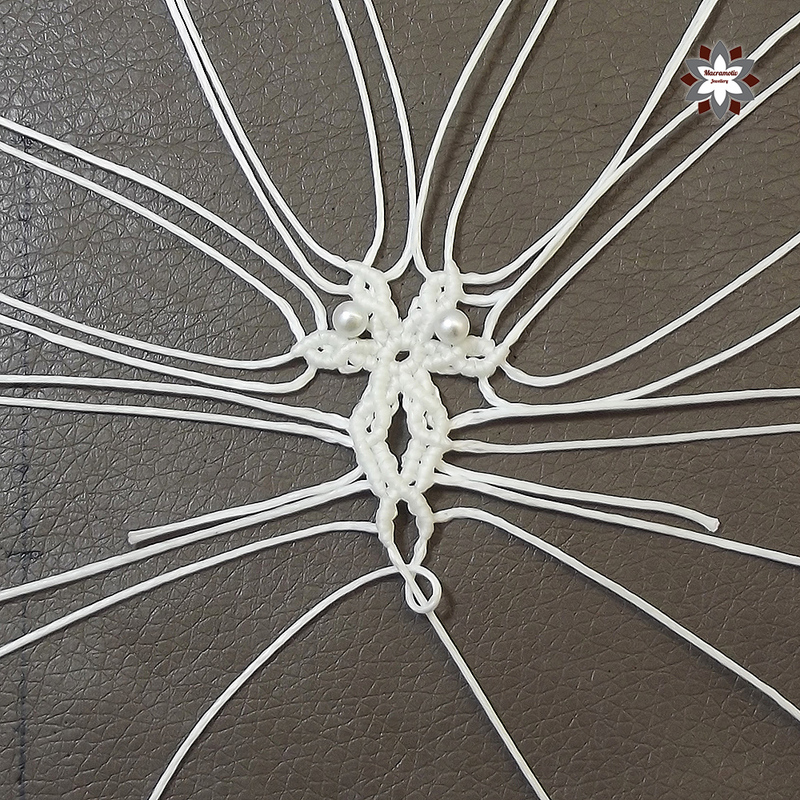 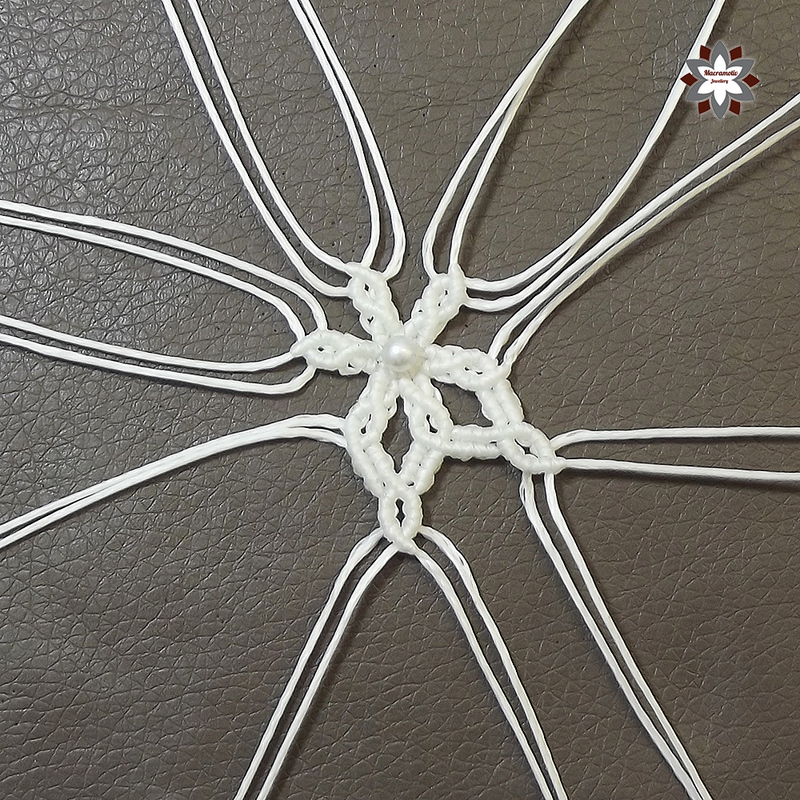 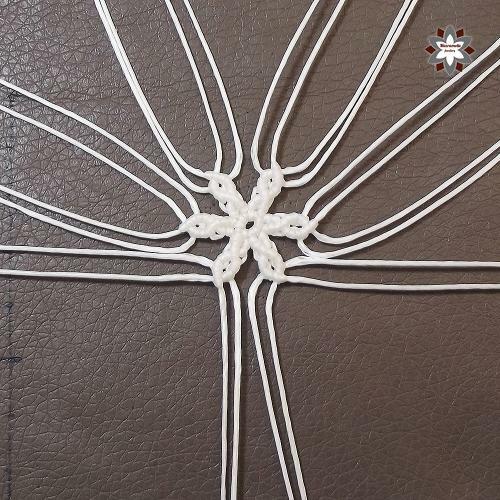 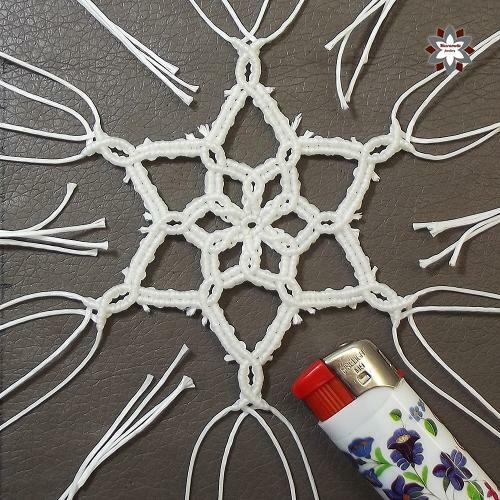 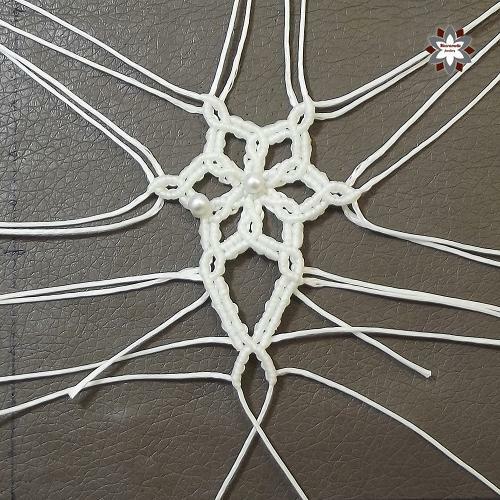 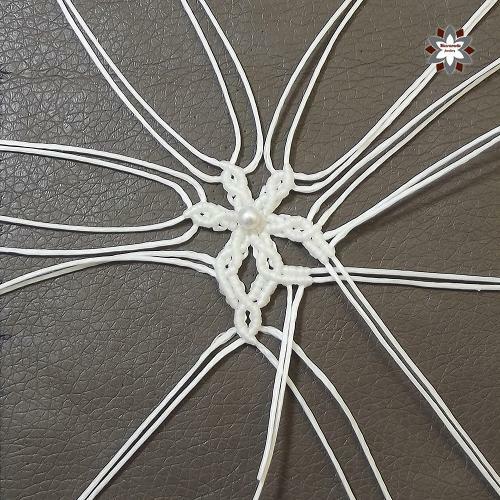 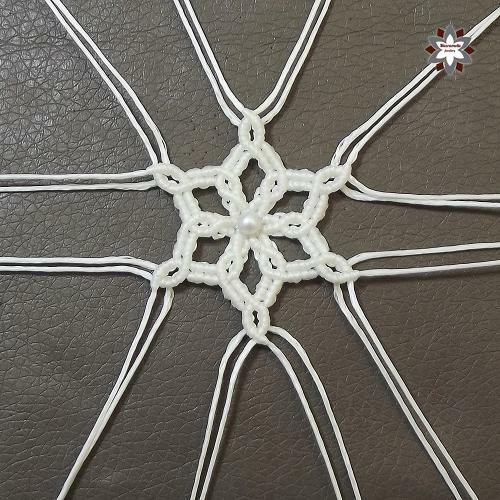 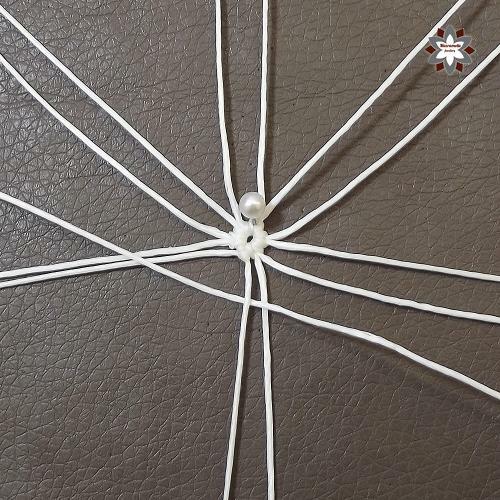 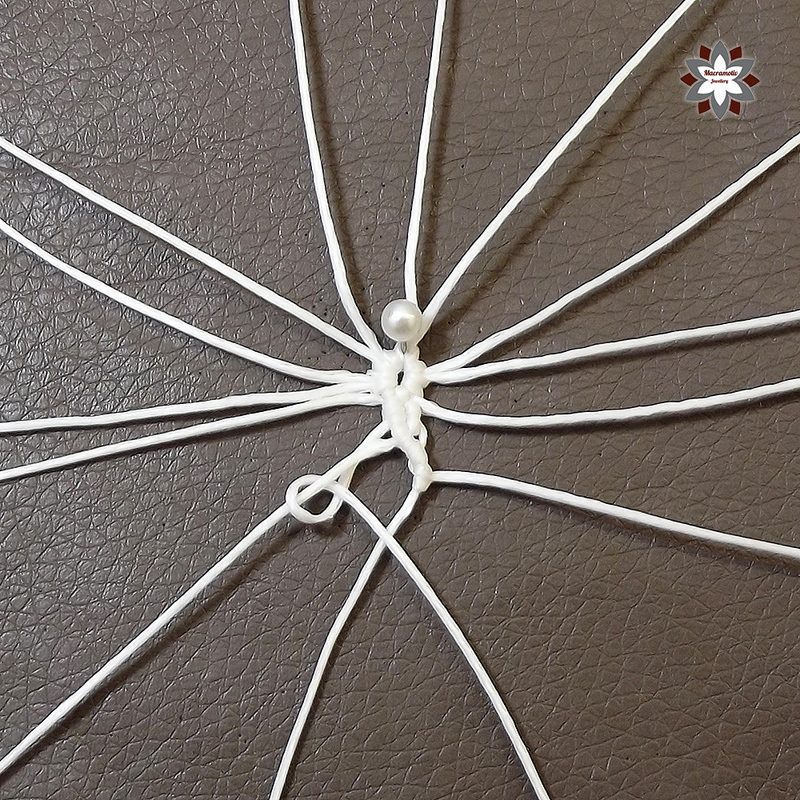 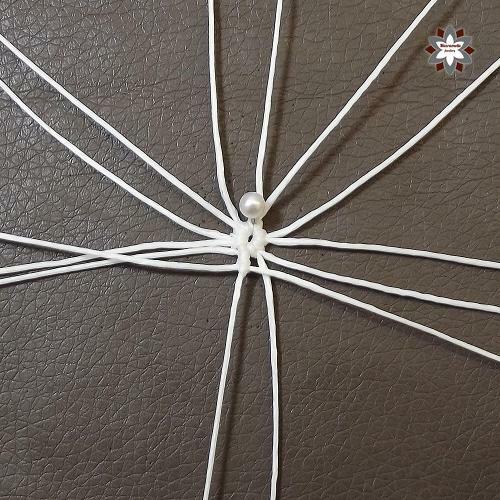 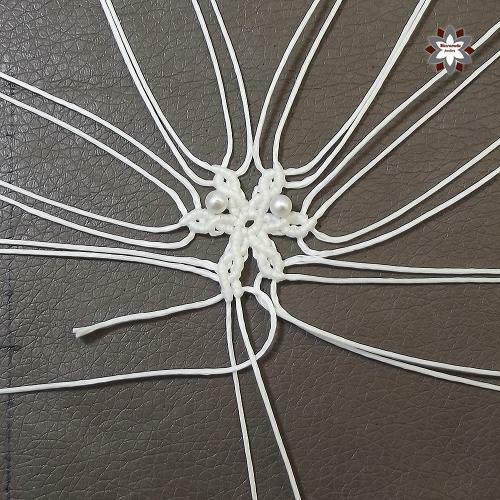 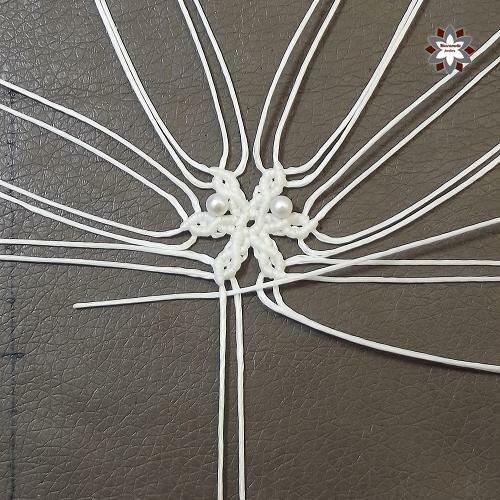 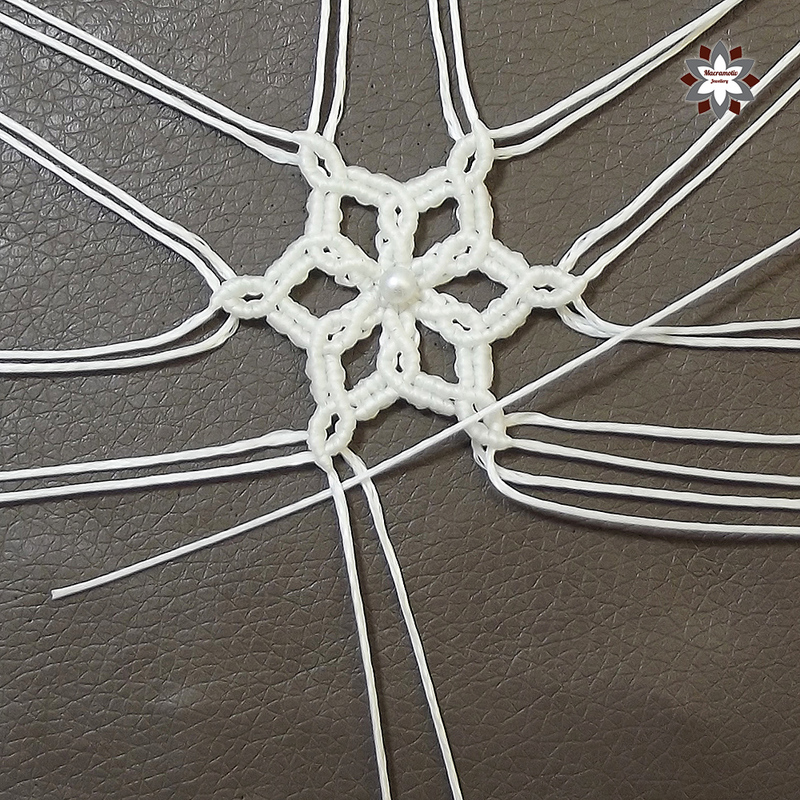 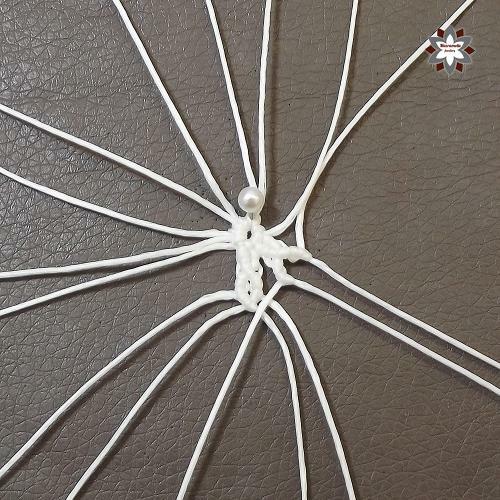 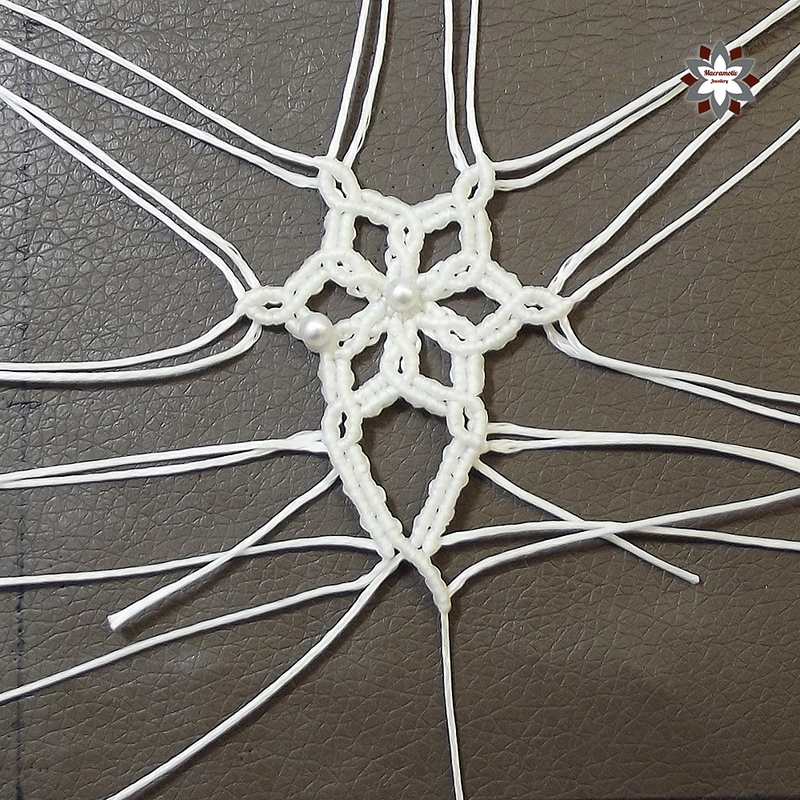 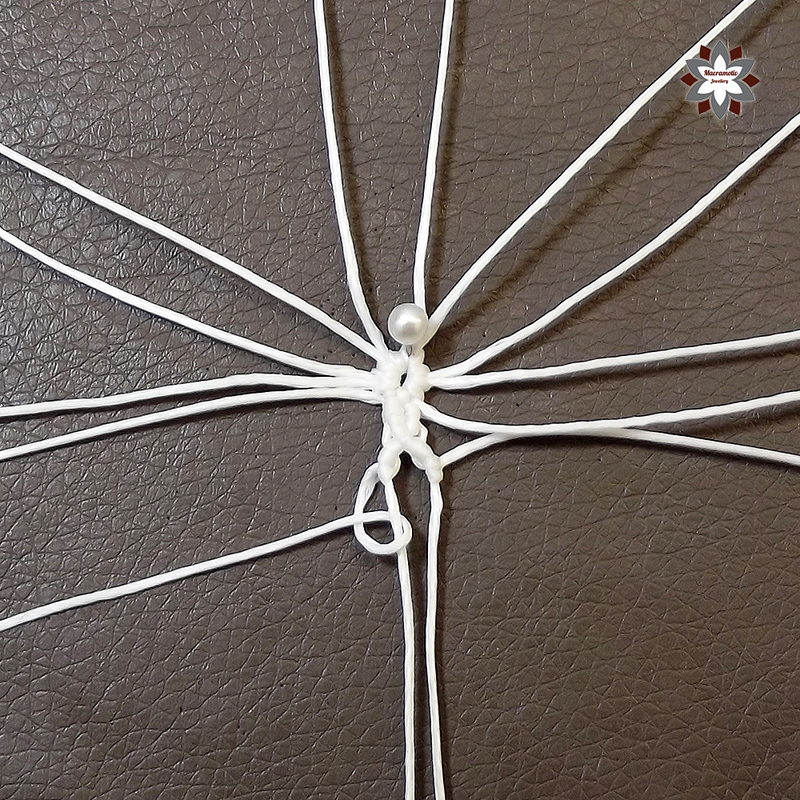 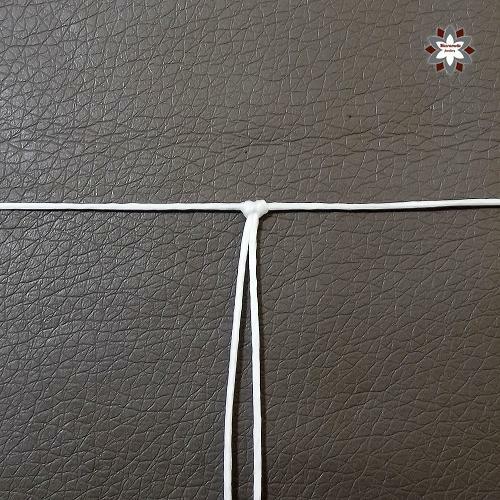 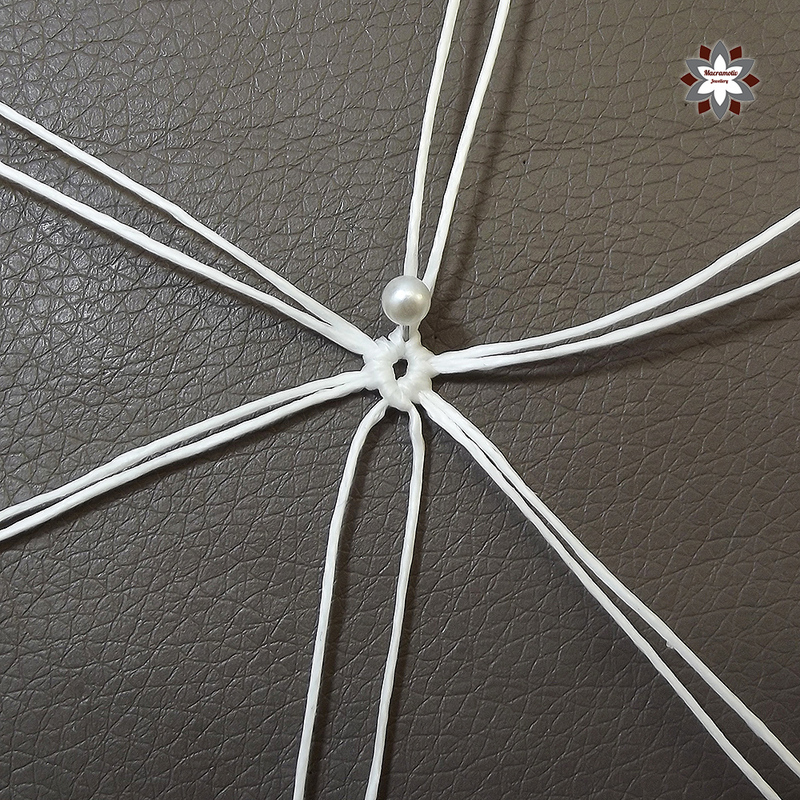 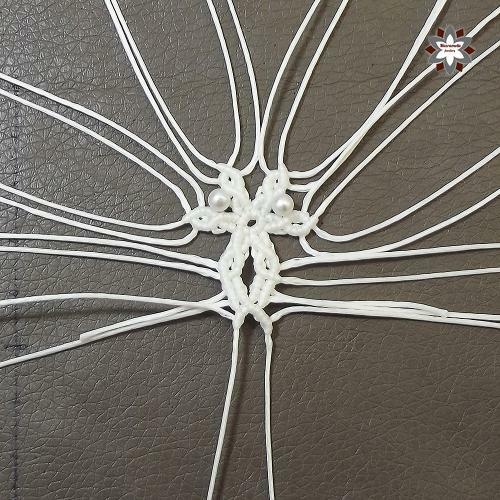 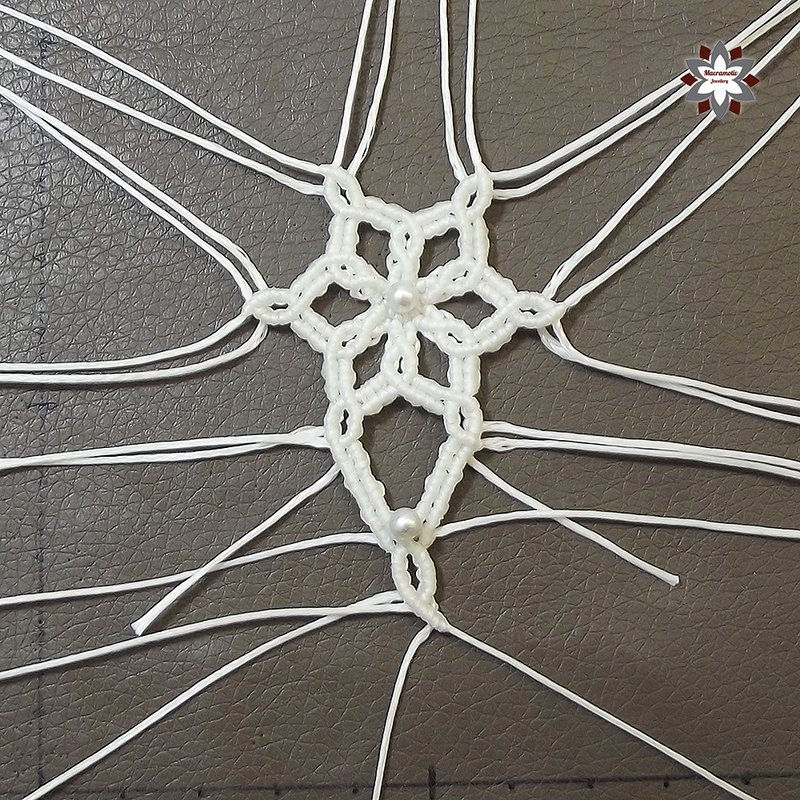 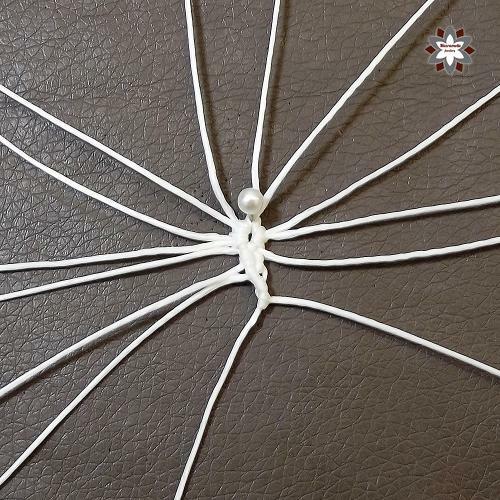 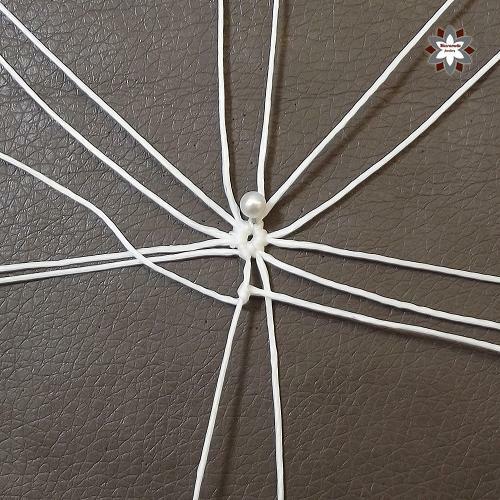 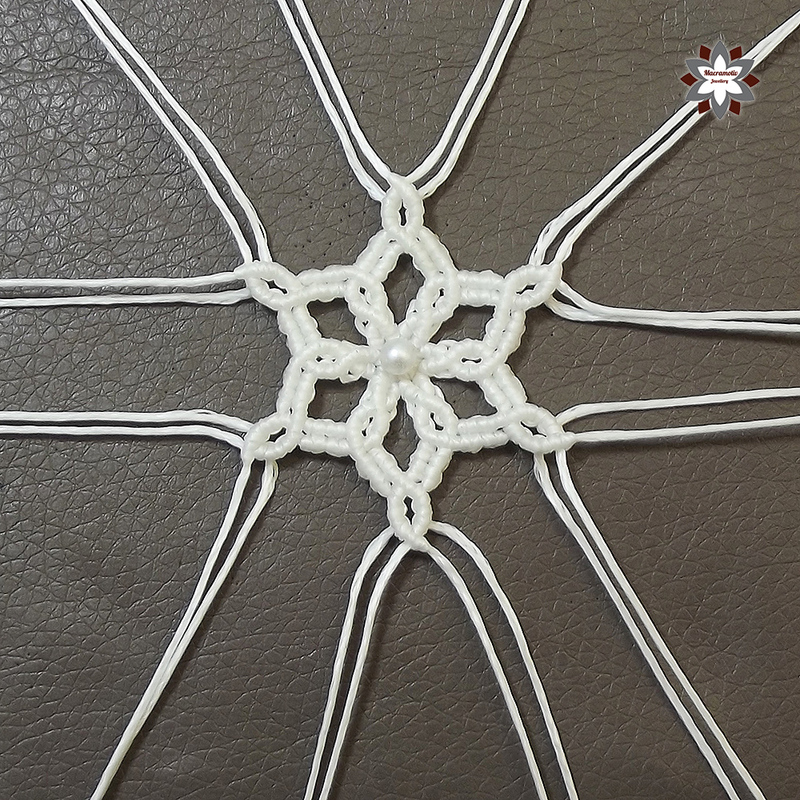 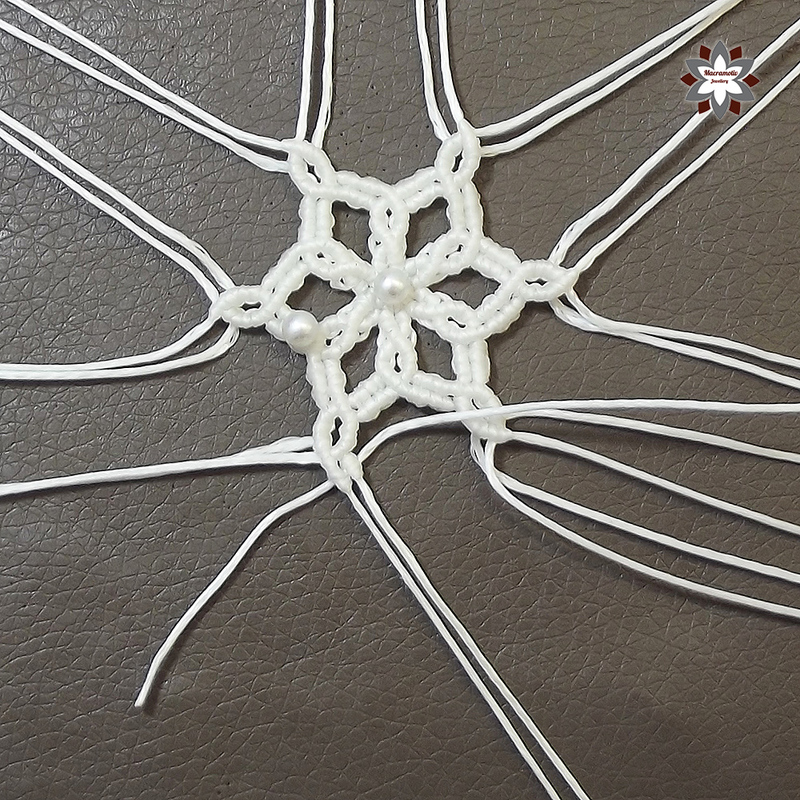 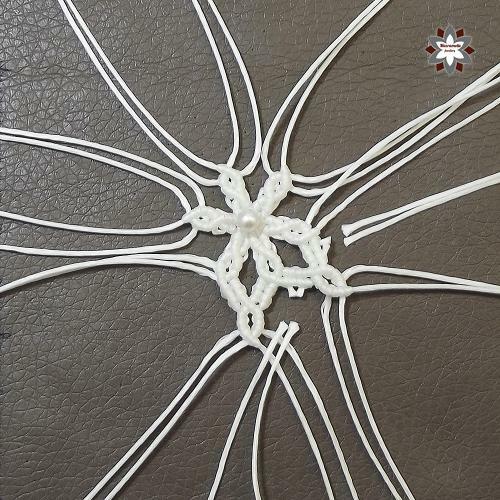 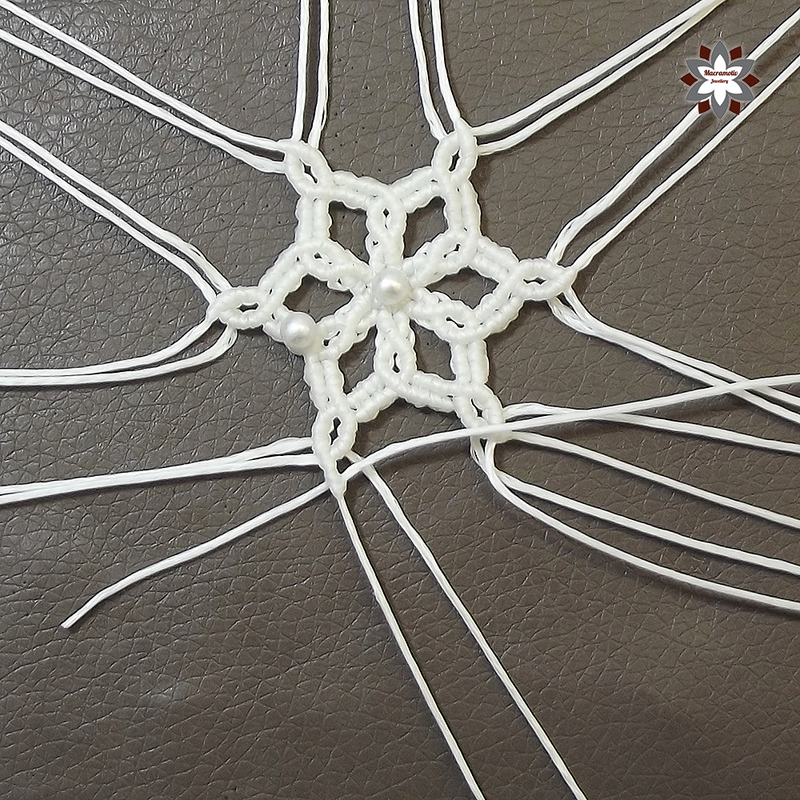 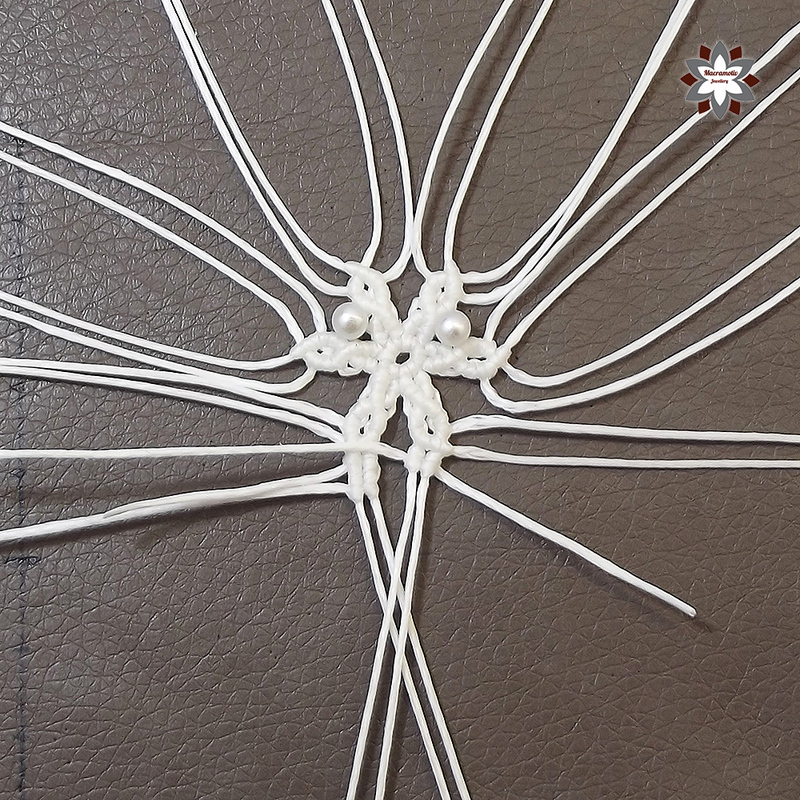 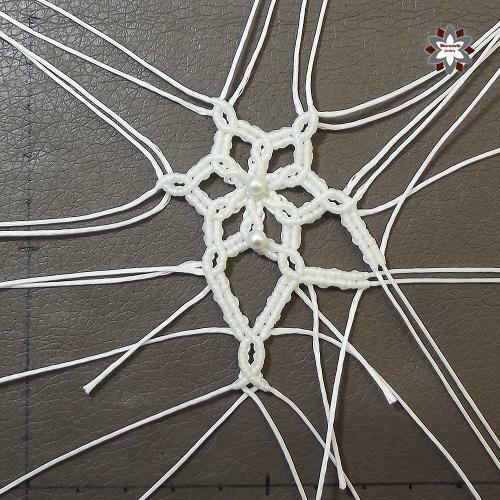 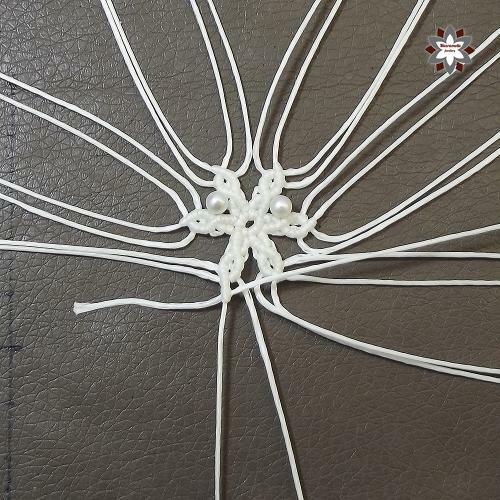 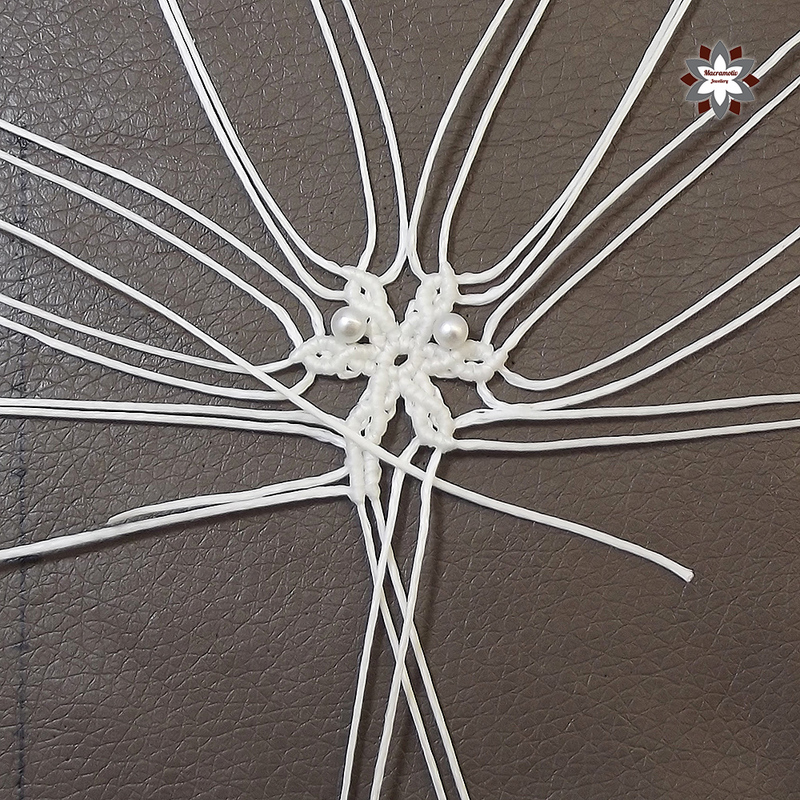 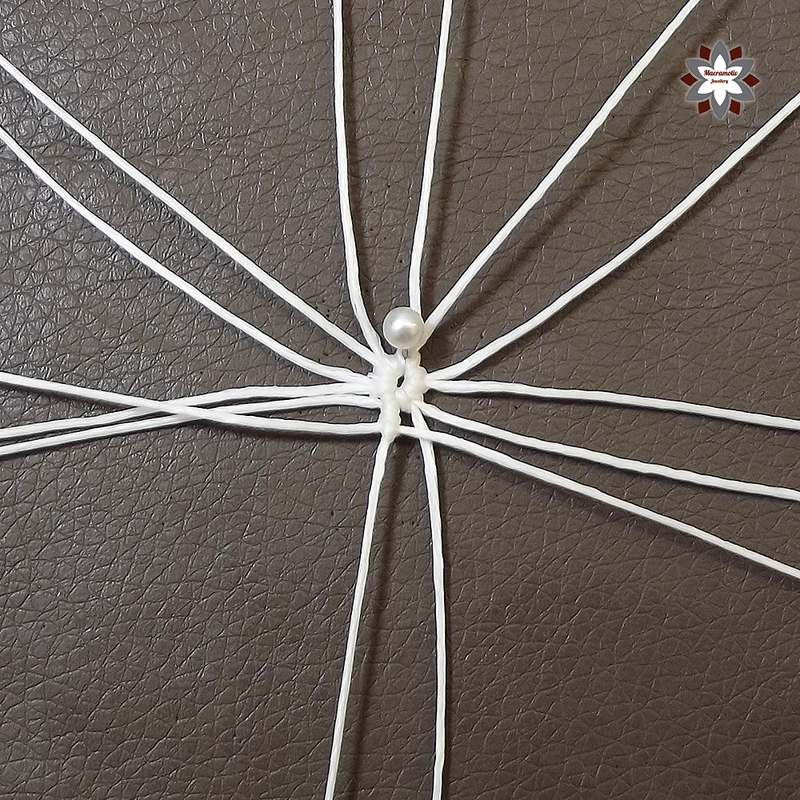 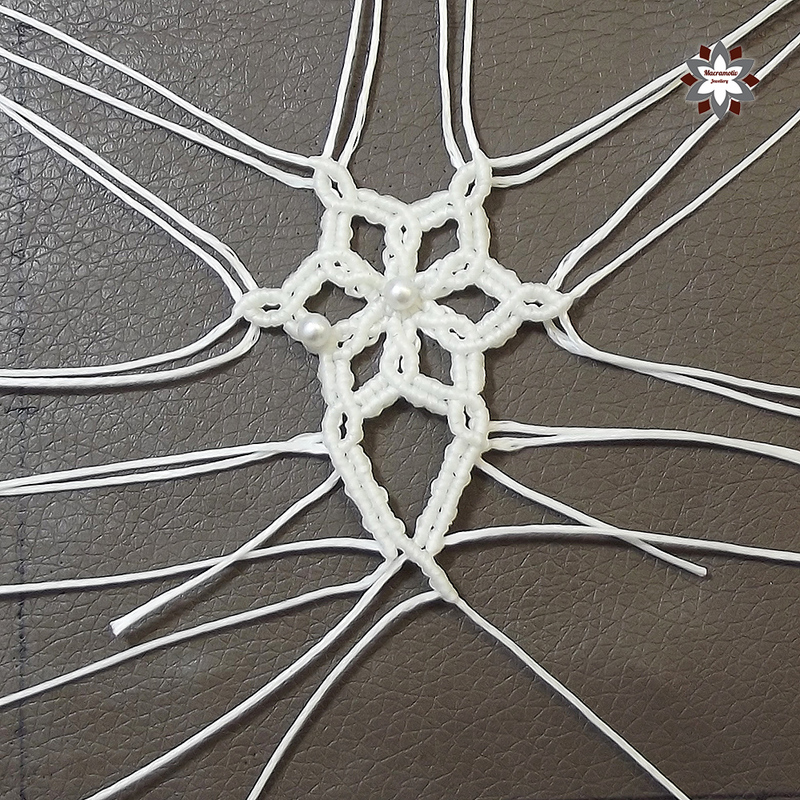 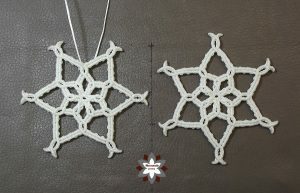 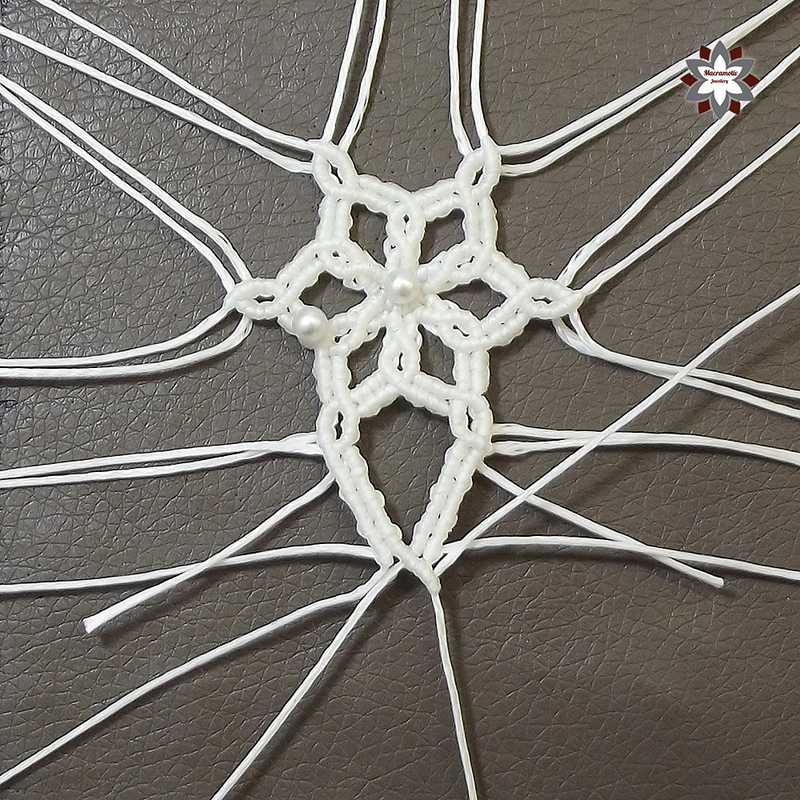 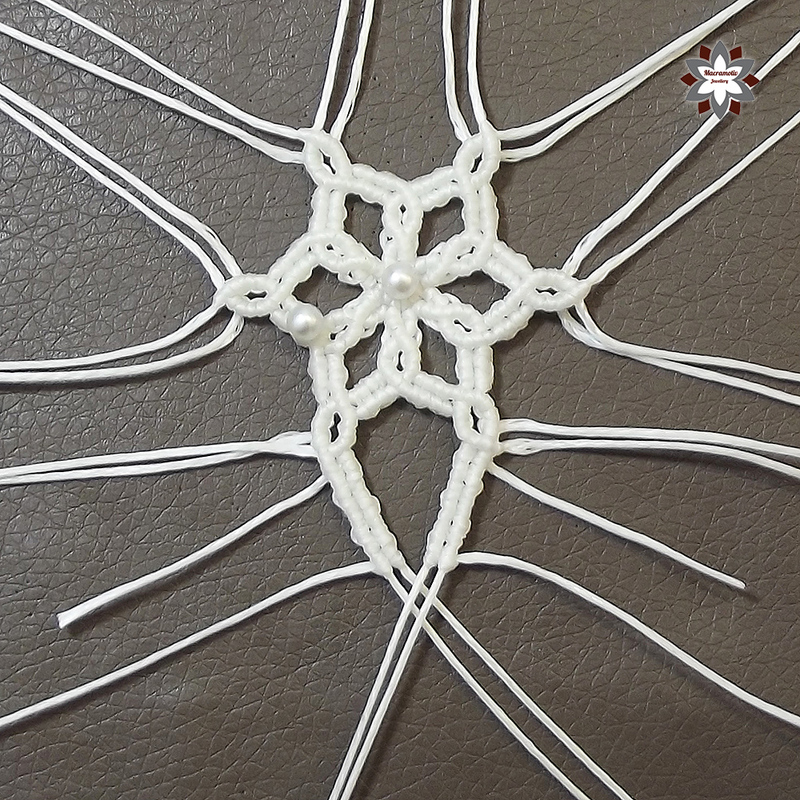 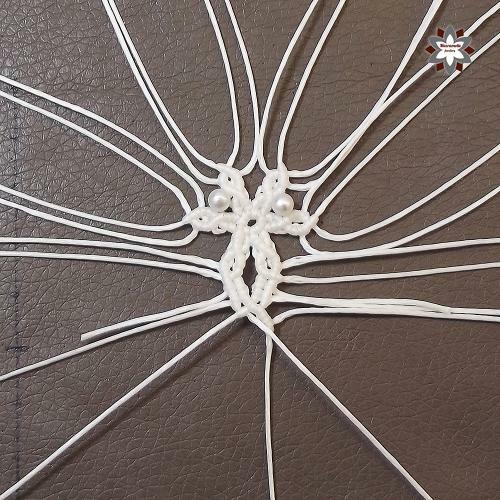 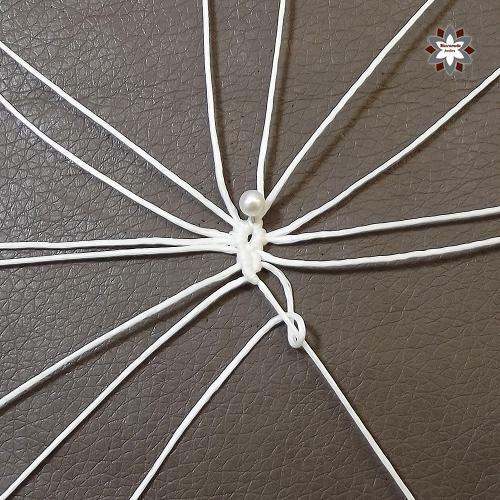 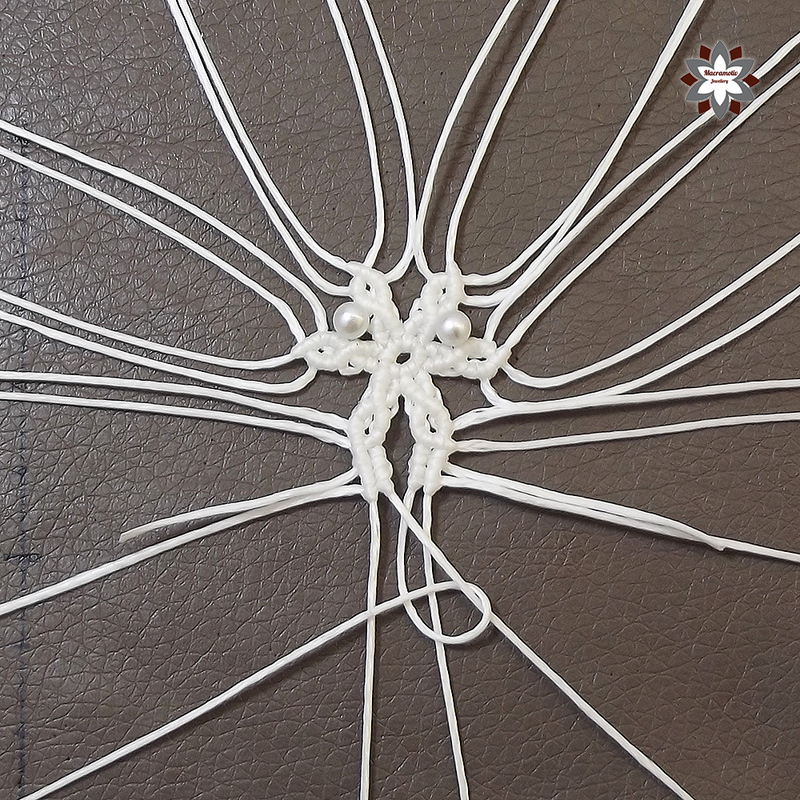 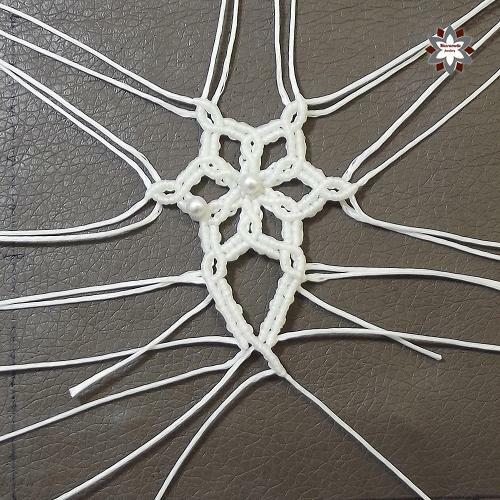 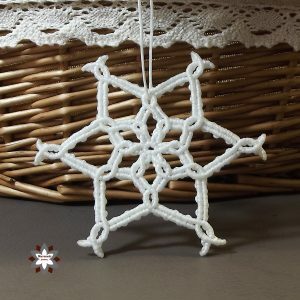 This double line macrame snowflake ornament needs many cutting and burning. 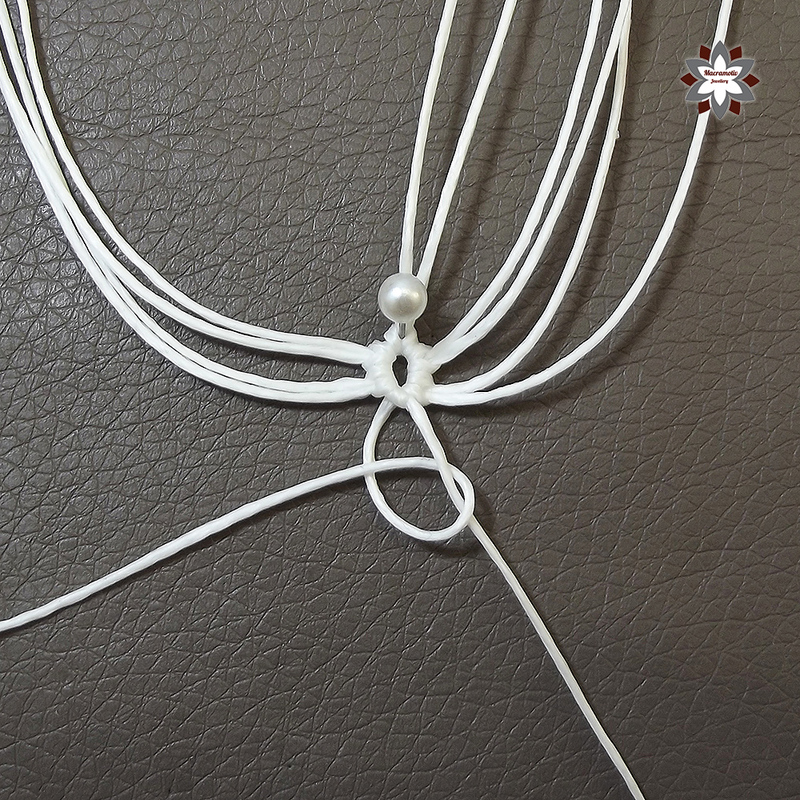 You have to be careful when heating the cords with the lighter, do not let it go discolored. 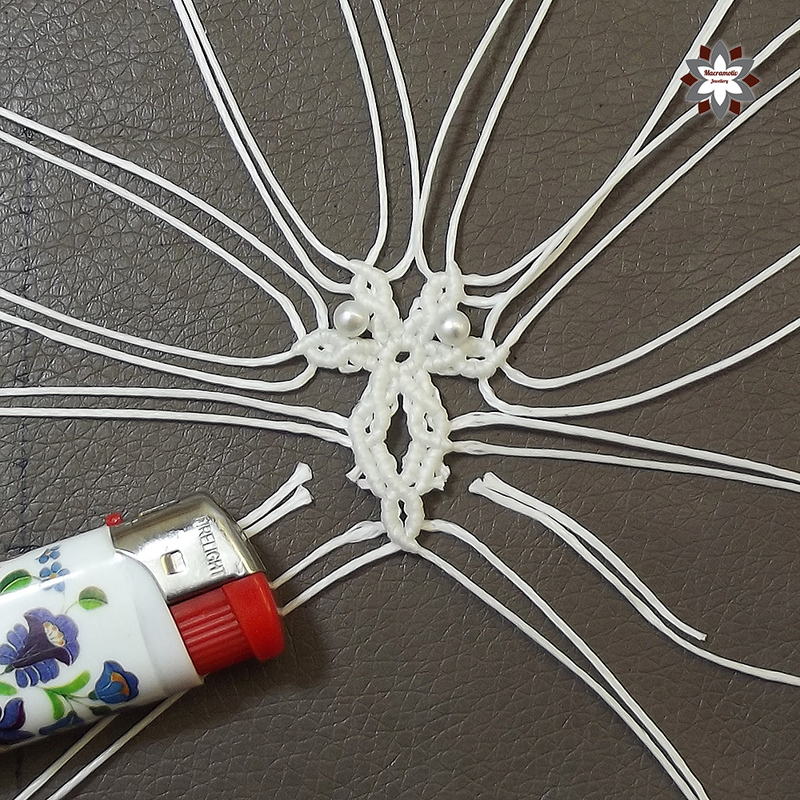 First I added 6 x 50cm cords in half, then another 6 x 50cm cords approximately in half. Then in the short section I added 12 x 15cm pieces and finally in the longer section 12 x 30cm. 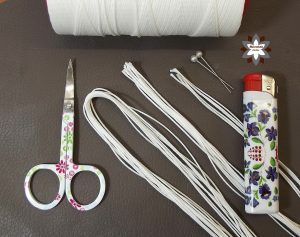 When I make macrame jewellery or ornaments I always set aside the cut cords in a box and later I can use the shorter ones in some other creations as now. I used 1mm shoe-sewing braided waxed polyester cord in this project. If you have any questions about cords, please visit FAQ first. 12 x 30cm waxed polyester cord.